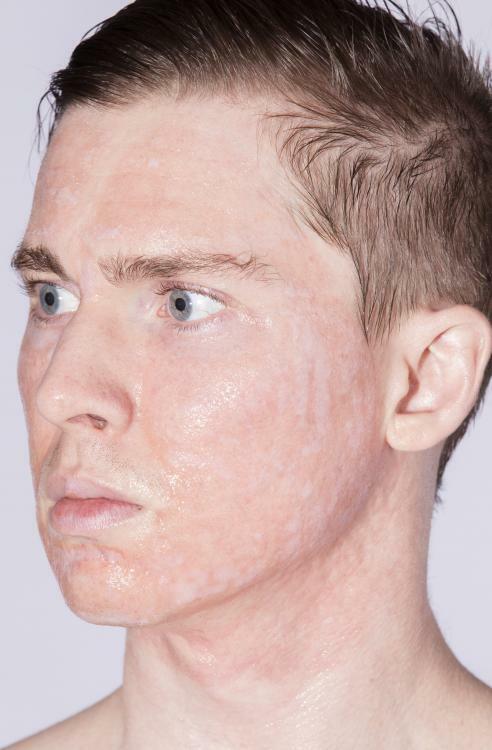 Acid Peels Can Harm Your Skin, cause severe burns, and further scaring. Do not think the highest percentages will help if you are not experienced. Please Study fully and read as much as you can. Always spot treat when trying anything. If you have any doubts have a dermatologist do it. They are experienced handling the acid. Watch as many Youtube Videos as you can on your peel, start with a spot test somewhere out of the way, then try a diluted (use water) treatment 8-12% and move up to higher percentages IF YOU CAN HANDEL IT! Never go above 35% and even this can lead to burns! Start Low & work up!!!!!!!!! A test spot trial is your friend, you only have one face. This goes for most acid peels, order the highest percentage, DILUTE (w/ Water) them down to 12-15%, and build up what you can handle. Please Learn a lesson from the below poster who used 80% TCA . Never use that much! Acid is serious stuff. 1) Always dilute down to 8 to 12% with water any acid (ie. half of TCA 35% is 17.5% and add a little more water to get it down). Do a test spot to see how your skin reacts. 2) Never do full strength till you know how you react. 3) Acids are gradual, start low, and work up a little at a time (each treatment). 35% should be your max for full face peels, many never get there as it's to strong. For TCA Cross, you can buy stronger acid but the same applies, start low, and then gradually work up higher. TCA can be treated by doctors at 100%. We never do this!!!! If your skin can handle it 50% is high and never ever drip any excess acid (wring it out with gloves, or get all of it off with your toothpick). 4) Drops / excess = burn scars (even the tiniest amount of TCA or other acid works). Toothpicks /wood pick up acid even if you wipe them dry. 5) Use vaseline around the eyes, eyebrows around the nose, lips, and smile lines by the mouth. Acid will not work with vaseline. Vaseline can also be put around a scar that is being treated to protect the surrounding skin. 7) Do not use those fan brushes, you have no control and will cause burns, use gauze and wring it outwith no excess, or a toothpick that fits in your ice pick scar (test before acid) dip it into the acid and dab any excess on a paper towel. No drips. 9) IF you have any darkness in your skin, you can tan you may cause hyperpigmentation and excess redness. Some ethnicity's cannot use TCA (light skin types don't have this issue unless the percentage is too high), either use very diluted (water) acid and do a test spot. Or darker skin types have done well with Glycolic and Salycilic acids. 10) Never TCA Cross (high acid amount) in the middle of a scar that is wide. TCA cross is for very narrow ice picks, the narrower the better. You would be better with a dilute spot peel (full facial peel) than to widen already wide spots. TCA Cross at high percentages of acid must have defined borders to touch all the walls of the scar. 11) Acid widens the scar, while this may soften it be aware it may make it look worse, do a test spot first. Microneedle, then the next month do a peel, repeat, this can help even things out. 12) We suggest makeup artists choice for TCA and other peels. They have excellent customer service, and do not sell acids that are industrial grade (not medical) like Amazon and ebay (you don't want this on your skin). 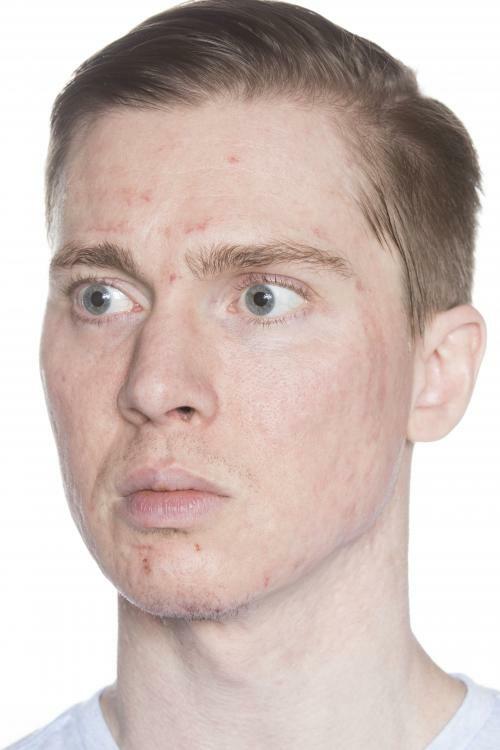 Acne.org's store above has a great glycolic peel. 13) Always remember after care: A wet wound is a happy wound, some great ones to apply a few times a day are vaseline, aquaphor, triple antibiotic cream, or biafine (European for burns, doesn't react like some to vaseline). Use diluted (Water) white vinegar on a gauze daily to pat the area (kills bacteria and makes things peel), never rub! Normal soap unless it's gentle can make your face react after a peel. 14) If you have major burns goto the hospital ASAP! 15) An doubt have your med spa or doctor do the peels, acid peels are the number one way people get burns or make their scars worse, less is more, and spot treat to see what you can take. 16) Darker skin types and Asian skin may not be able to use TCA, please do a test spot, at a very dilute amount (water), see how you react. Ethnic skin types do well with Glycolic and, Salycilic Acids. TCA may result in permanent darkening of the skin in the area where the peel was used. However, this problem can be overcome if TCA 20% is used after a Jessner’s solution for darker skin types. Hydroquinone aka skin bleach should be used 2 weeks before and 3 weeks after, retin a or tretinorin, AHAs, Kojic Acid, Alpha Arbutin, etc. to prepare your skin’s surface, and even out the skin tone itself. * Vitamin C Serum is also recommended to use with this treatment as preparation to avoid any hyperpigmentation. 17) Frosting for 15-20 minutes is a good indicator, as Deeper peeling will have frosts that can last up to an hour. Any frosting lasting over an hour is a serious problem and damaging the skin.If you are frosting for 3 days go seek a doctor, major 911 emergency (The deeper the burn the less you feel because your nerves are fried)! 18) Men have as a general rule thicker skin and tolerate deeper peeling with higher percent acids. 19) After acetone (without fragrance nail polish remover) a Jessners or Salicylic peel can be applied to further remove the top layers so the TCA can reach the papillary dermis. The hope is just to reach the top or lower papillary(depending on what depth of peel you are going for) and not the reticular dermis where scarring Will occur if damaged. Most doctors will not do over 35% TCA these days for full face / spot peels. 22) Make sure you have a supply of SPF (100% uva & uvb) to protect your skin before and after the peel. A minimum of 30 is required. 23) Do not scrub your skin, let the shower take off the scabs, or pick!!! 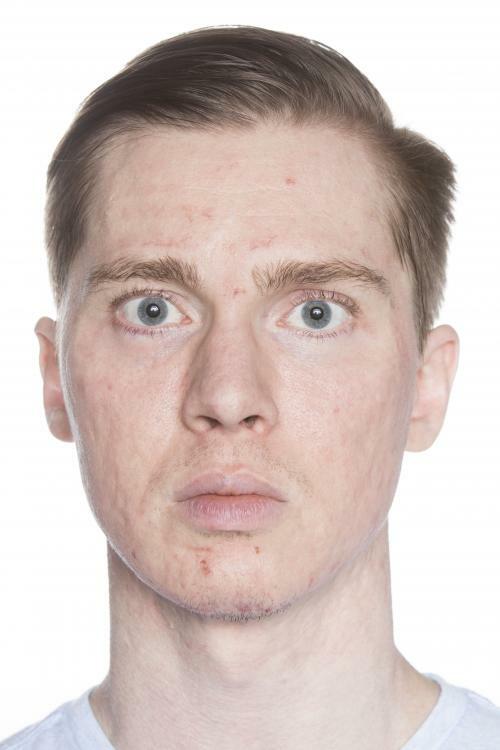 >> The gentleman at the bottom of this page would be best to goto the derm or med spa and have V-beam for the redness or IPL, BBL, Photofacials, 1064nm laser. He should be using aloe Vera and honey or Emu oil for his burns or triple antibiotic, silicone liquid is also good for scars. Burn gels are sold at the store often called hydro gels. ** We recommend Makeup Artists Choice for their excellent customer service and support of their acid peels. TCA is the best all around peel for the acne scar suffer, it allows similar benefits of laser treatments at home without the fat loss and thermal damage. You can slowly step your way up to TCA peels through other peels, and the alternative peels have other advantages like hyper pigmentation, acne, and skin tone when you don't want the down time of TCA resurfacing. TCA is normally done in the Winter or early Spring as it requires one to hibernate during recovery and avoid the sun, it is part of many yearly beauty routines. TCA of course they are like having lasers at home. Remember peeps dilute w/ water and see your skins reaction (spot test) don't go crazy on your skin without knowing. Peels successfully treat a variety of cases of melasma, acne scars and sun-damaged skin, dermatologist Dr. Peter Rullan told colleagues, but he says it's crucial to select the right peel for the right patient. And in some cases, he says, lasers can offer better results, either in conjunction with peels or alone. Rullan, M.D., has a private practice in Chula Vista, Calif., and is a volunteer clinical professor of dermatology at the University of California at San Diego. He described his recommendations at the 2016 CalDerm Symposium, a continuing education seminar offered by the California Society of Dermatology & Dermatologic Surgery. Some of the new fractionated and minimally ablative laser devices can achieve comparable results to the peel, but it’s more expensive to use the devices compared to the low-cost alternative of peeling. Consider a pretreatment skin preparation with bleaching agents and topical tretinoin, and use antivirals, especially if treating near the lips. For active acne Dr. Rullan recommends 30% salicylic, Jessner’s and VI peels. 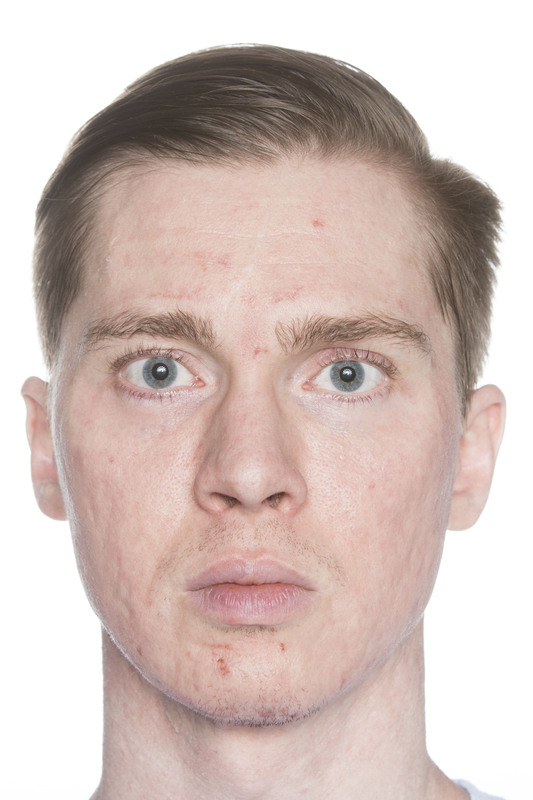 "I routinely do 30% salicylic on patients on low-to-medium doses of isotretinoin," he says. "For isotretinoin, I like 20 mg/day initially, and based on tolerance and need, I slowly titrate upward." Dr. Rullan adds monthly Vbeam Perfecta pulsed dye laser for red acne scars, even while the patient is on low-dose isotretinoin. 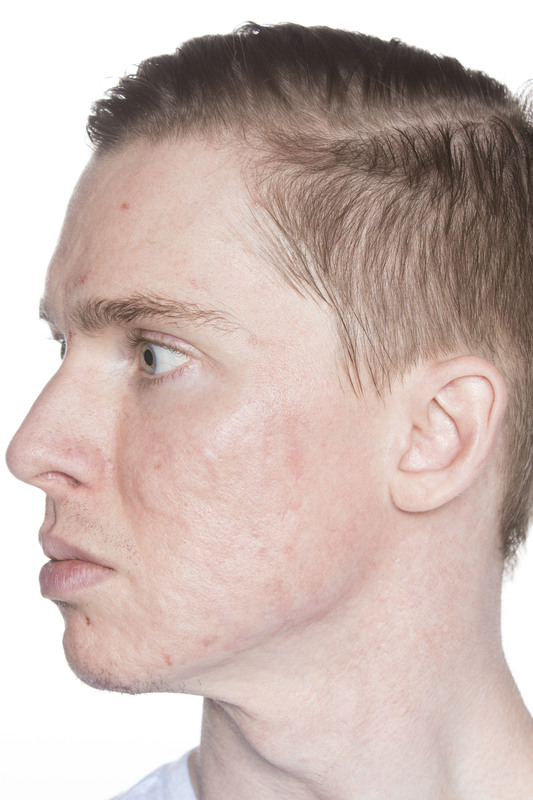 "I use 10-msec and 8 joules, 7 mm spot size, followed immediately by a 30% salicylic peel or wash if the patient has active acne lesions," he says. "The red marks from recent acne lesions respond very well to the laser, and acne lesions such as comedones and papules dry out or exfoliate with the salicylic peel." 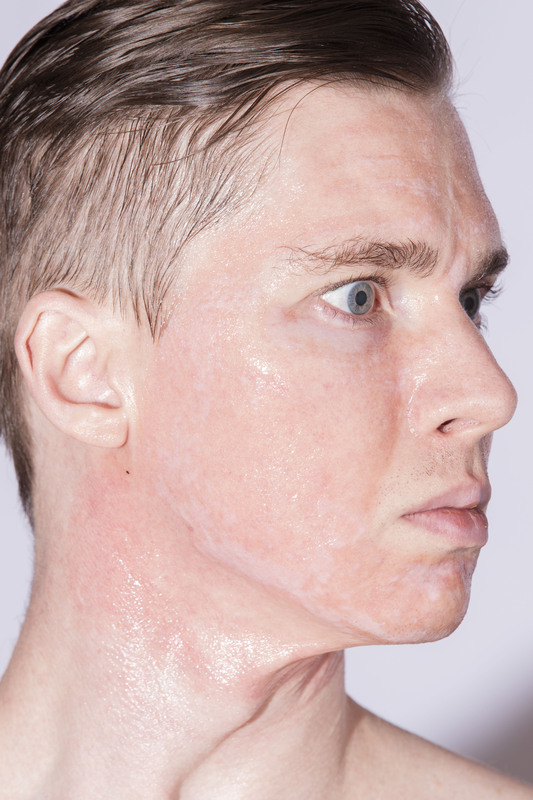 Dr. Rullan offers several cautions: "Buffered glycolic works well for comedonal acne but cannot be done while using topical or systemic retinoids because it can cause blisters," he says. "And although they're effective, Jessner’s peels can cause post-inflammatory hyperpigmentation (PIH) in skin types 4-6." For small boxcar or ice pick acne scars Dr. Rullan likes to mix a TCA peel with laser. "I do CROSS – Chemical Reconstruction of Skin Scars – with 30% TCA for thin skin, 60% for medium, and 100% for thick-skinned patients. It must be applied with a toothpick to avoid spillage onto the shoulders of the scars," he says. "It can be done in all skin types with minimal risk of PIH, but if done incorrectly it can widen the scars temporarily." "If I see rolling scars, then I do Nokor 18-gauge needle subcision before I do the CROSS with TCA," he adds. If appropriate, Dr. Rullan follows CROSS immediately with either fractional Erbium or CO2laser based on available downtime or severity of scars. He cautions that "Combining CROSS with ablative lasers is better than just lasers alone, since lasers cannot ablate the lateral walls of box or ice pick scars. Many of the patients that come to me have been very disappointed with the results and the cost of their CO2 laser peels for scars." 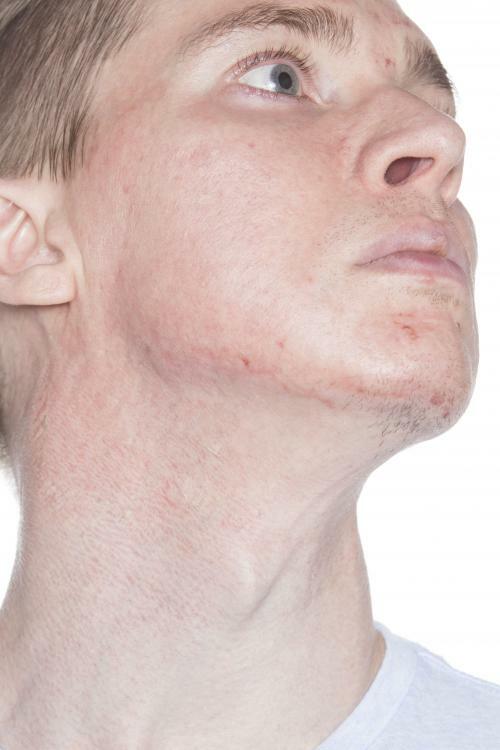 Other treatment approaches, he says, can include dermabrasion, 2-day phenol chemabrasion for spot or full-face scarring, excision, punch elevation and punch grafting. "Melasma cannot be cured with any peel," Dr. Rullan states, but a 30% salicylic peel can be appropriate. He describes it as the "safest peel," one that provides a "very superficial" level of penetration. Dr. Rullan also recommends 70% glycolic acid peels – another kind of peel considered very superficial – and 20% salicylic plus mandelic acid peels. He points to a recent study of 90 patients in India with melasma [Dermatol Surg. 2016 Mar;42(3):384-91]. 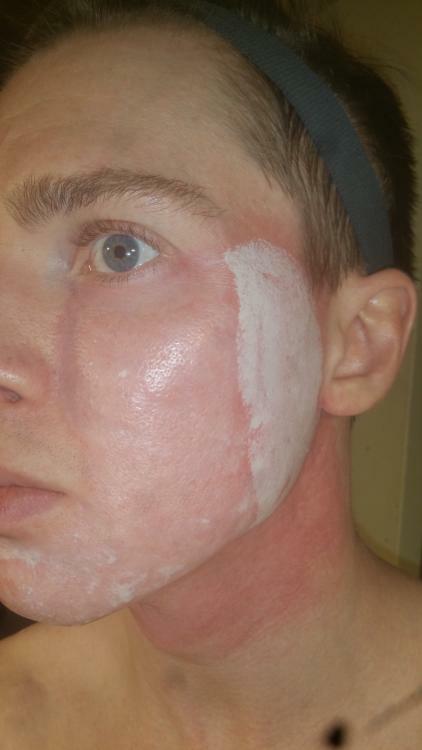 Patients were randomly assigned to peels with glycolic acid 35%, 20% salicylic plus mandelic acid and phytic combination. Patient skin was most tolerant of salicylic plus mandelic acid, the researchers reported. The also found that 35% glycolic acid and salicylic plus mandelic acid peels were more efficacious than the phytic combination. After 12 weeks, the melasma area and severity index scores in the patients decreased by 62%, 61% and 45%, respectively. In addition, a variety of other treatments can be appropriate for melasma, Dr. Rullan says, including, but not limited to, protection from heat and sun, hydroquinone 2%-6%, retinoids, glutathione 500 mg BID, and anti-inflammatory medications. Dr. Rullan prefers pre-packaged peel kits for treatment of photo aging. "Commercial kits provide a well-defined procedure and post-op care that helps the physician and the staff gain confidence in chemical peels," he says. For mild photoaging, Dr. Rullan prefers a “superficial” level of penetration. He points to ZO 3-step stimulation peel (10% TCA, 17% salicylic acid, 5% lactic acid and 6% retinol cream), VI Peel Precision (30% phenol, 7% TCA plus salicylic and tretinoin acid, but no croton oil) and Jessner's 15-20% TCA. For moderate photoaging, he prefers "medium depth" peels via Jessner's 25% TCA and TCA peels assisted by blue dye. "These peels actually improve fine wrinkles and lentigos but do not provide the amount of skin tightness and lifting that a croton oil/phenol peel can do, especially for deep wrinkles in the mouth region." "They help the patients get a fresher, more even complexion that appears more glowing and with only a five-day turnaround,” Dr. Rullan says. “For example, you do the peel on Wednesday, they look pink and dry for two days, and then exfoliate for two or three days max during the weekend." Dr. Rullan cautions about post-inflammatory hyperpigmentation from ablative lasers, intense pulse light and strong chemical peels. 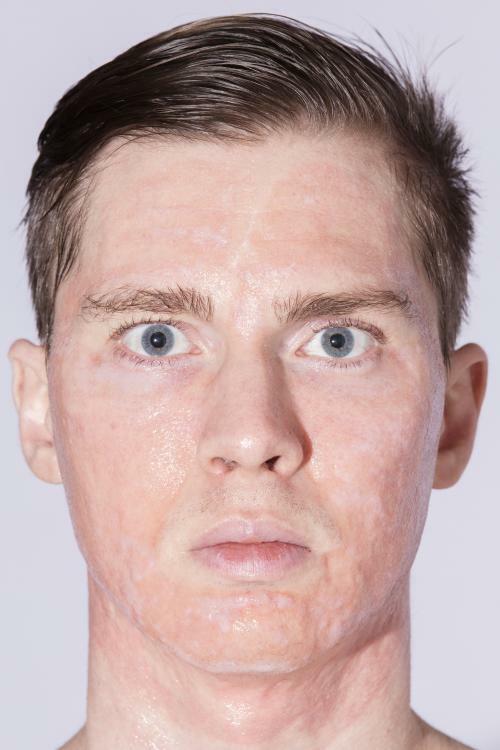 "If the patient has oily skin and acne scars and is skin type 4 or darker, you will get PIH when doing medium and deep chemical or CO2 laser peels," he says. "No pre-op regimen with hydroquinone or tretinoin will prevent it. I find it more effective to start them on very low-dose isotretinoin – when qualified – if you start seeing PIH after the peel has healed. I use doses like 10-20 mg daily for 30 days." "Learning peels is difficult because the residency and fellowship programs do not teach them in workshops," Dr. Rullan says. "I teach them in residency programs, and for some third-year residents this is the first time they have ever been taught peels." To gain experience and feel more comfortable Dr. Rullan suggests they join the International Peeling Society and attend workshops or courses. "Commercial kits provide a well-defined procedure and post-op care that helps the physician and the staff gain confidence in chemical peels," he says. “They should feel safe doing the 30% salicylic on acne and melasma patients. And I suggest applying 35% TCA on individual AKs – actinic keratosis -- to learn the wounding and healing process." Picosure Laser or a Vascular laser to raise the pigment and then do the peel(s). Simple Glycolic or Mandelic Peel (AHA Acids) - and you can use retin- a / tretinorin / differin nightly when not peeling. Also use a niacinamide serum. Instructions for peels are included when you buy them or see the acid peel guide under the scar treatments sub, pinned at the top. MUAC Self Peel - TCX: We formulated this peel with a proprietary blend of acids to work on a number of skin care issues by including the following acids: Mandelic Acid, Salicylic Acid, TCA, Glycolic Acid, Lactic Acid, Citric Acid, Phytic Acid. Total acid content is 30%. Great for acne, softening of acne scars, anti aging benefits, fading of skin discolorations. MUAC Self Peel - Radiance Peel: A combination peel combining both alpha and beta hydroxy acids with more natural/organic origins. Excellent skin exfoliation, skin brightening, deep pore cleaning and reduction, skin texture refinement, alleviate sun damage, minor melasma and discolorations, smooths uneven skin tones, softens lines, wrinkles. A cream with ingredients kojic acid or konjac and licorice (Amazon) for whitening can prevent further PIE and lighten some pigment issues. I was never much into Lactic, but of course I am allergic to milk ;-P Buy as high as possible and water it down. Saves you money. They are just making sure you start low and go higher in case there is any issues. I always advise buying the max percentage to save $$, otherwise they will be selling you watered down peels at various strengths. I think they sell to Europe, you can always email them and ask, they have great customer service. Looks like 40% is a beginner Lactic. You can either Prep your skin by using Acetone without fragrance aka Nail Polish Remover, rubbing alcohol or using the pH Prep solution that came with your kit. Use Acetone AKA Nail Polish Remover without fragrance. Once you have reached the 5min mark, it is now time to rinse of the solution..
Also dont scratch, pick, or rub your face, just allow your face to heal on its own and remember to MOISTURIZE!!!! this removes grease / sweat/ sebrum so the peel work. Salicylic and Mandelic, Good Basic Peels (Great for Acne Prone Skin - Salyi peels - Aspirin Ingredients). Glycolic is a stronger peel, then TCA. Salicylic peels are great. Stridex is so cheap it's basically free. This was my favorite before I jumped on the TCA bandwagon. It's a good stepping stone before you go TCA. Great for acne and hyperpigmentation, cleans out the pores, Salicylic is made of similar components of Asprin hence it's effect on redness. You don't have to neutralize Salicylic or Mandelic peels with baking Soda or wash. Some people pre peel with this before their TCA peels to help give a more even peel and break up the oil layer of the epidermis. I also like Mandelic which is quite similar to this and has anti acne properties as well. From Amazon : " Salicylic Acid is a great kertolytic which means it helps loosen the bonds between skin cells to promote exfoliating. It is the only hydroxy acid which is oil soluble which allows it to penetrate into clogged pores. It can be used more frequently than the other peels without must risk for irritation. The 30% solution For use only after you have acclimated your skin to the 20% peel. LIGHT SCARS AGING SKIN WARTS ACNE VULGARIS LESIONS UNDER THE SKIN (TRAPPED OIL) LIP CREASES LIGHT SCARS HYPERPIGMENTATION WHITE SPOTS BLACK SPOTS LIVER SPOTS SUN DAMAGED SKIN CONTROLS ALL TYPES OF ACNE DULL AND WORN SKIN." alicylic acid is oil soluble, thus making this acid perfect for oily/acne skin that needs deep pore cleansing and loosening of blackheads. --Because salicylic acid is in the aspirin-family, it's important for clients who are allergic to aspirin products to avoid using this product. --If you are pregnant or lactating, consult with your OB/GYN before using chemically based products. 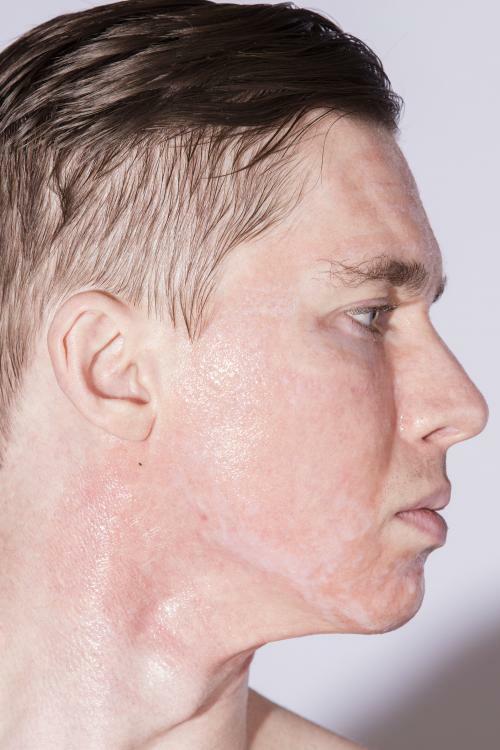 --Always patch-test the skin before using acid-based products. If you experience irritation, rinse immediately with cool water. --Wait 24-48 hours to see if irritation develops. --Do not apply to red, irritated skin. --Do not use manual exfoliants, nor scrubbing brushes within 24 hours of use. --Do not use drying acne products, other acids, nor retinoids for 48 hours before using this, and do not resume for 48 hours after the peel. --Chemical peels cause the skin to be photo-sensitive, so be sure to use sun protection after your peel. "Mandelic acid is an alpha hydoxy acid derived from bitter almonds.The molecular structure of mandelic acid is larger than better known alpha hydroxy acids such as glycolic acid and lactic acid. This means it takes longer to penetrate the skin's surface and is much less irritating. Do not use if you have nut allergies. It also works on darker skin types unlike some acids." Upon application, within the first minute-or-so, you will feel very little topical sensation... it will be a warm tingling sensation. This acid penetrates more slowly than others, due to its larger molecular size, but don't be fooled. It *is* processing your skin, so please follow directions as written and use a non-acid moisture post peel. Post peel you'll see some light flaking, perhaps more apparent around the mouth and nasal areas. 2) Use the Acetone aka nail polish remover (without fragrance, 100%) to pre treat the area (de grease it). 3) Sand down your toothpick (Sandpaper) to fit into scar (you want to touch the bottom of the scar not the side walls as much as possible) or break a wooden swab stick and make it fit into the scar, TCA Cross does better on scars with defined walls all around, the closer the walls the scar the better it will heal. Icepicks and "small" boxcars can be treated. Bigger scars should be treated with weaker acid dilution over the effected area (soften the transition to the surrounding skin), not just inside the spot. -- Never do icepicks very close to each other, they can connect, do some one treatments, and some the next time. 5) put vaseline anywhere you think is important to protect. The acid will not react there. Nose, lips, around eyes, eyebrows, smile lines. You can also surround the area with vaseline if you wish for extra protection but it's not necessary. 6) Pour a little acid or drop it into the glass or ceramic. Add equal amount to half it. You should always do test spots before you treat all your scars. This can be done at a dilute amount 20% if doing TCA Cross, and less for a full face or spot peel 8-12%. You are seeing how you heal, how it looks, and how you react to the acid. 7) Use your toothpick or wooden q-tip swab. Dip it in the TCA. You will take your paper towel and get any excess off. Drips make burns, wood holds acid, even if you cannot see it. The smallest amount works, not excess. You are pressing firmly into the icepick or box car but not spreading it outside of that scar, reach the bottom of the scar but never break the skin by pressing to hard. 8) It should start to turn white, if it does not, you may in 5 mins do it again (if your at a lower dilution for that test spot, it will not turn white and that's ok, white is only at higher amounts). Turning White assumes you have reached the appropriate strength for your skin and it's not too much. 9) Some people in case of emergency or to stop it because it hurts too much, take their dissolved baking soda water and stop the acid. TCA is self neutralizing, hence the white it is reaching the keratin in the skin. Never wash it off with soap (ouch!). 10) Put your vaseline, triple antibiotic cream, hydrogel from the first aid section for burn stuff, or biafine my favorite on the spot. You can take some antihistamine and or Tylenol if you need for pain and swelling. 11) Daily put more of the above to keep it moist, and once or twice a day used diluted (Water) vinegar to pat with gauze the area, never rub. This clean and kills bacteria, also it makes it peel naturally. 13) If your in the shower, it can make the scab fall off, this is bad, splash your face, don't let it fall off. 14) Do not pick, it will make it worse. 15) Only do these peels once a month, more and you will make it deeper. 16) After the scab has fallen off you can use honey and aloe vera to heal the red spot or triple antibiotic cream. 18) The scar will not be flat, that takes multiple treatments, it will lessen a percentage as it raises the bed or bottom of the scar, ... I suggest microneedling, and alternating months doing peels for collagen production. 19) Ethnic skin (darker) types may not be able to use TCA, please do a test spot, at a very dilute amount (water), see how you react. Ethnic skin types do well with Glycolic and, Salycilic Acids. TCA may result in permanent darkening of the skin in the area where the peel was used. However, this problem can be overcome if TCA 20% is used after a Jessner’s solution for darker skin types. 20) Avoid any sun exposure whatsoever in the days following the peel (Use Sunscreen After). Spot TCA peels or Paint on Technique can be done 2 ways. 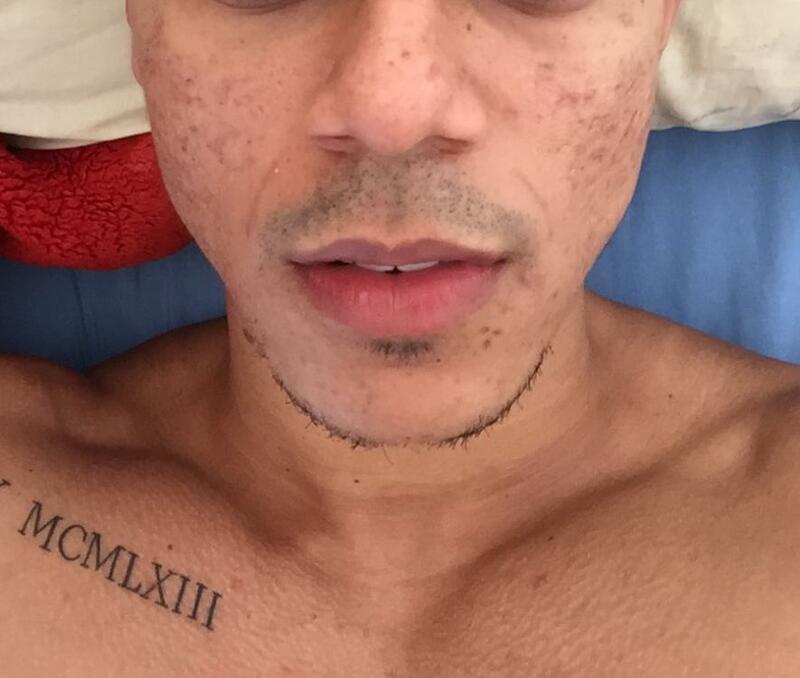 One is to just treat inside of the individual acne scar pits. The other is a broad peel for surface texture on a specific area of concern. The advantage of doing this type of peel is you do not effect healthy skin, as your just working on acne scars, you are trying to soften the borders and raise the scar bed, and promote new skin to surface and heal for the texture of pitted scarring. TCA Cross is for tiny scars only (icepicks). This is used for boxcars which have steep walls compared to rolling scars and smaller rolling scars (if they are too big filler and subcision are more appropriate). This treatment can be done before your subcision and (optional - w/Filler, Prp, Sculptra - lots of scars widespread - all over, or saline injections) or after you have a few treatments of subcision and wish to work on the texture of the scars. We want to raise and soften the individual scars as much as possibly before a deep peel or fully ablative erbium resurfacing for overall texture. If you have tiny scars TCA Cross is more appropriate. You use a higher percentage of acid with TCA Cross. 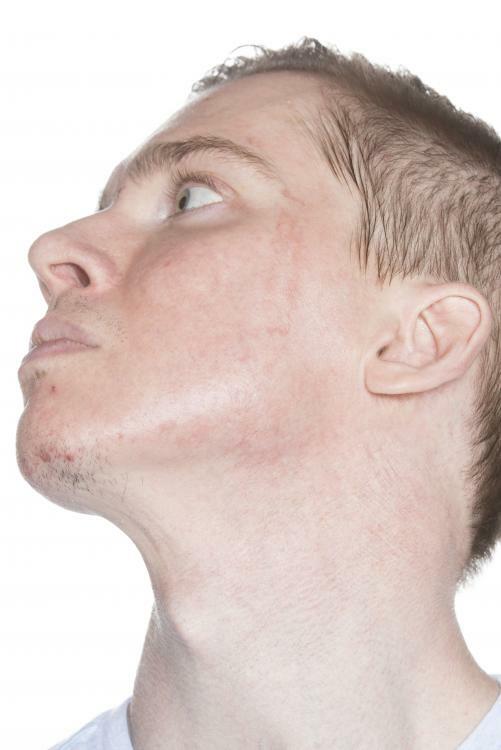 Please note both with spot peels and tca cross the scar may widen as treatments are done. This is because we are softening the edges and trying to raise the floor until we do our final textural resurfacing procedures. Think of the analogy of a road, ... you want to fill the pot holes as much as possible before you resurface or pour the final textural coating. * Stiff eyeliner brush (Amazon), it needs to be small enough to fit into the pit. The angled kind are more useful than the completely flat Ones. Smaller the better. * TCA Acid 30% - Makeup artist's choice, or another reputable brand that specializes in peels. * (Optinal) Pre-Peel Glycolic, Salicylic, or Jessner. Only needed to get a deeper peel, can wait on doing this prior to TCA until your more expereinced. * Retin-A / Tretinorin / Differin, use this nightly with a one week break prior to your peel. It preps the skin for the peel and makes healing better of the skin. * Vaseline to cover sensitive areas or keep the area moist prior to doing the peel (a moist wound is a happy wound), Other Options are Strataderm, Biaphine, and La Roche products for after laser care. * (Optional) You can continue to use your acne treatment by spot treating only on zits, best to avoid wounds / peeled areas unless there is infection, spot treat them. * Clean Towel daily over pillow to avoid Vaseline going into pillowcase. * (Optional) Over the Counter Antihistamine, helps deal with the swelling and inflammation. You have already done your Retin-a/Tretinorin/ Differin nightly for several weeks, ethnic skin types have used the konjac and albutin as well. If you wish to pre-peel you have done a light peel to get the skin read for tca application (optional as you get more experienced). Always clean the areas that will be treated with fragrance free nail polish remover prior to application of any acid. This removed the oils and gunk and allows the acid to penetrate (make sure it's dry). Using your stiff angled eyeliner brush or a q-tip, clean all tools before you start, make sure they are dry. Pour a small amount of acid in a tiny cup or bowel to use and put away the rest (very little is needed). Put a piece of paper towel down, you will be dabbing any excess acid in the brush or q-tip, ... you do not want "any" drips, very little is needed. Have your baking soda and water mixture ready in a bowel if you need to neutralize at any time. Start with a lower % and spot test on only one scar. The reason for this is you will know the reaction and healing time your skin has before doing more of your face and gradually increasing the % of TCA (less water to the solution). Most people start with 15%. Not everyone can make it to a full 30% as they may burn or not be able to handle it. Never treat to nearby scars, they could join together, alternate treatment of these at different times. So you have done your test spot and know the percentage you can handle ,... also if this is for you. We are monthly depending on if the area is fully healed with no pinkness, treating the scars. Some are able through progression of the % ...handle the 30% TCA and do 3 coats painted onto the scar (the last layer must be fully dried). Remember No drips and no excess, only a tiny bit is needed. If you need use your Baking Soda Water Mixture, ... otherwise the proteins should stop the reaction of the acid (depends on your comfort). Put the Vaseline, Biaphine, Strataderm, or La Roch after laser treatment product on wounds. You will be applying this a few times a day. No ex-foliation, picking the scabs off, running the shower directly on the wounds, harsh soaps, products, other acid materials, harsh cosmetics, this could damage your delicate unhealed skin. Use dilute white vinegar pats, ... you pat the face 1:1 water to vinegar to kill bacteria and clean the wounds several times a day. Then apply more of the above^. Your fresh peeled skin will be red, and will look wounded. This is normal. It takes longer to heal for some people than others. Castor oil, comfrey, and manuka honey all stimulate healed skin, do not use these until the scabs are healed up. 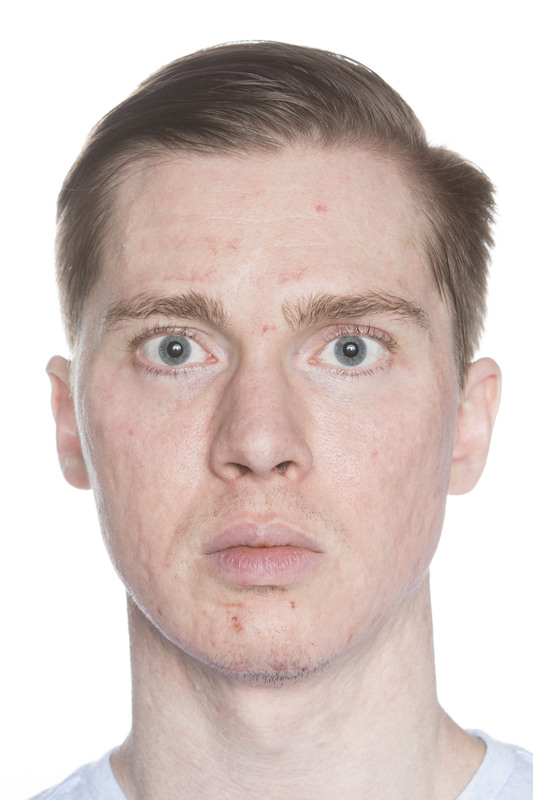 Makeup can be helpful even for guys (concealer, dermablend, or tinted sunscreen), can be spot treated over the red wounds. You will need several treatments a month or more apart to do treatments, it depends how you heal, ... it's progressive. Remember we are not peeling the overall skin, we are just treating the pits similar to TCA Cross (for bigger boxcars and smaller rolling scars). The skin heals slowly, ... the biggest mistakes I have seen are people not expecting fresh wounds after treatment (This is by design), using overly high % of TCA - spot test one scar first, or rushing things / causing damage to the delicate skin with other procedures. In case of emergency goto your nearest emergency for treatment. This can be alternated with the derminator or dermastamping to individual pits. Allow a month or more between treatmetns as you have time and money. TCA can have a longer down time. Subcision (w/filler,prp, sculptra - lots of scars widespread - all over, or saline injections) is best to start with (3-4 times) for pits (especially large ones), and for smaller boxcar and rolling scars. It all depends how your body heals. Full Face peels are great upkeep and many do them yearly to have fresh skin. For acne scar suffers, or those with smaller issues use spot peels (large pores, rolling, or boxcars). 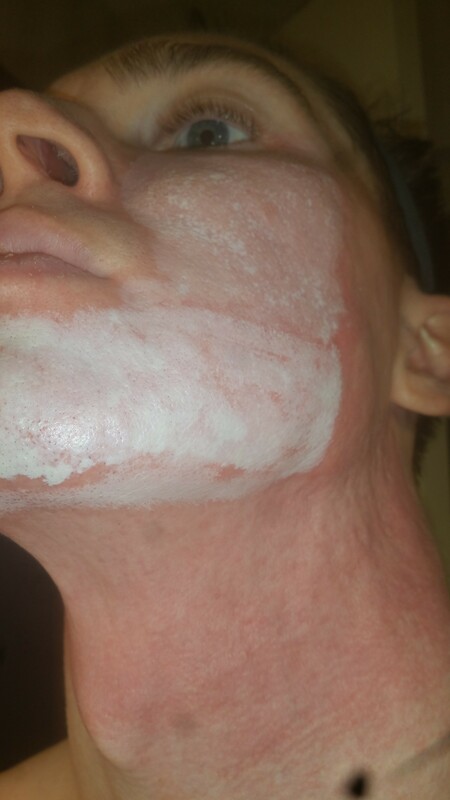 You alternate your peels with http://derminator.com every other month (everything should be completely healed). This continues on for a year(s). If you spot peel make sure you feather the edges by using a more diluted weaker acid around the edge to feather out the treatment area. 1) Pre Peal: Use Acetone AKA Nail Polish Remover (without fragrance, 100%, to avoid irritation) this removes grease / sweat / sebrum so the peel work. You may now use a Salicylic, Glycolic, or Jessner peel but this is not required. 2) Do not apply Retin A / tretinorin or a leave-on acid product the day before your peel – Let it rest for 1 day. Never use abrasive products (scrubs) immediately prior to a peel. 3) Those with darker skin (or Asian) prone to hyperpigmentation please prepare your skin by using hydroquinone (skin bleach) a few weeks before and after treatment, also vitamin c serum, and spot test at lower levels to see how you handle the acid / healing. 3) In a bowel or container combine your water and TCA acid (to a low enough percentage, hopefully you have already done a small test spot to see how you heal and can handle that percentage, starting percentage is 12-15%, your slowly working your way over many peels to as much as you can handle of 35%, some never reach that and that's ok). 5) put Vaseline anywhere you think is important to protect. The acid will not react there. Nose, lips, around eyes, eyebrows, smile lines. You can also surround the area of treatment with Vaseline if you wish for extra protection but it's not necessary. 7) Use your gauze. Dip it in the TCA. You will take your paper towel and get any excess of (wring it out). Drips make burns, gauze holds acid, even if you cannot see it. The smallest amount works, not excess. 8) It will only turn white at higher percentages, otherwise you won't see anything, if you feel nothing you may in 5 mins do it again (if your at a lower dilution for that test spot). 9) Some people in case of emergency or to stop it because it hurts too much, take their dissolved baking soda water and stop the acid early. Never wash it off with soap (ouch!). The collagen production will continue for the next several months. 21) If anything does not “look or feel” right to you, see a doctor for an evaluation! The combination medium depth chemical peel – Jessner’s solution + 35% TCA, has been accepted as a safe, reliable and effective method for the treatment of moderate photoaging skin. Chemical peeling involves the application of a chemical exfoliant to wound the epidermis and dermis for the removal of superficial lesions and improve the texture of skin. Various acidic and- basic chemical agents are used to produce the varying effects of light to medium to deep chemical peels through differences in their ability to destroy skin. The level of penetration, the nature of destruction and the inflammatory response determines the level of the peel. The stimulation of epidermal growth through the removal of the stratum corneum without necrosis consists of light superficial peel. Through exfoliation, it thickens the epidermis with qualitative regenerative changes. Destruction of the epidermis defines a full superficial chemical peel inducing the regeneration of the epidermis. Further destruction of the epidermis and induction of inflammation within the papillary dermis constitutes a medium-depth peel. 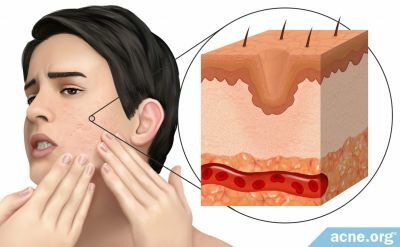 Then, further inflammatory response in the deeper reticular dermis induces new collagen production and ground substances which constitutes a deep chemical peel.1 These have now been well classified and usage has been categorized for various degenerative conditions associated with photoaging skin based on levels of penetration. The physician, thus, has tools capable of solving photoaging skin problems that may be mild, moderate or severe with agents that are very superficial, superficial, medium-depth, and deep peeling chemicals. The physician must choose the right agent for each patient and condition. Solid carbon dioxide freezing with trichloracetic acid 35%. Jessner's solution + 35% trichloracetic acid. Glycolic acid 70% plus 35% trichloracetic acid. The combinations produce a more even peel with deeper penetration of the wounding agent without the associated complications of higher concentration trichloracetic acid. This chapter will review the scope of medium depth peeling, the patients and conditions most commonly treated, the techniques of application, wound healing, and complications. Trichloracetic acid has become the gold standard of chemical peeling agents for its long history of usage, its versatility in peeling, and its chemical stability. It has been useful in many concentrations because it has no systemic toxicity and can be used to create superficial, medium or even deep wounds in the skin. Trichloracetic acid is naturally found in crystalline form and is mixed weight-by-volume with distilled water. It is not light sensitive, does not need refrigeration and is stable on the shelf for over six months. The standard concentrations of trichloracetic acid should be mixed weight-by-volume to accurately assess the concentration. That is, 30 gm. trichloracetic acid crystals mixed with 100 cc. distilled water will give an accurate 30% concentration, weight by volume. Any other dilutional system - volume dilutions and weight by weight, are inaccurate in that they do not reflect the accepted weight by volume measurements. Since TCA itself is an agent more likely to be fraught with complications, especially scarring, in strengths of 50% or higher, the higher concentration has fallen out of favor.6 It is for this reason that the combination products along with a 35% TCA formula have been found equally effective in producing this level of control damage without the risk of side effects. All three combinations have proven to be as effective as the use of 50% trichloroacetic acid with a greater safety margin. The application of acid and resultant frosting are better controlled with the combination so that the “hot spots” with higher concentrations of TCA can be controlled, creating an even peel with less incidence of dyschromias and scarring. The combination peel produces an even, uniform peel. The Monheit version of the Jessner’s solution – 35% TCA peel is a relatively simple and safe combination. The technique is used for mild-to-moderate photoaging including pigmentary changes, lentigines, epidermal growths, dyschromias, and rhytids. It is a single procedure with a healing time of seven to ten days. It is useful also to remove diffuse actinic keratoses as an alternative to chemical exfoliation with topical 5-fluorouracil chemotherapy. 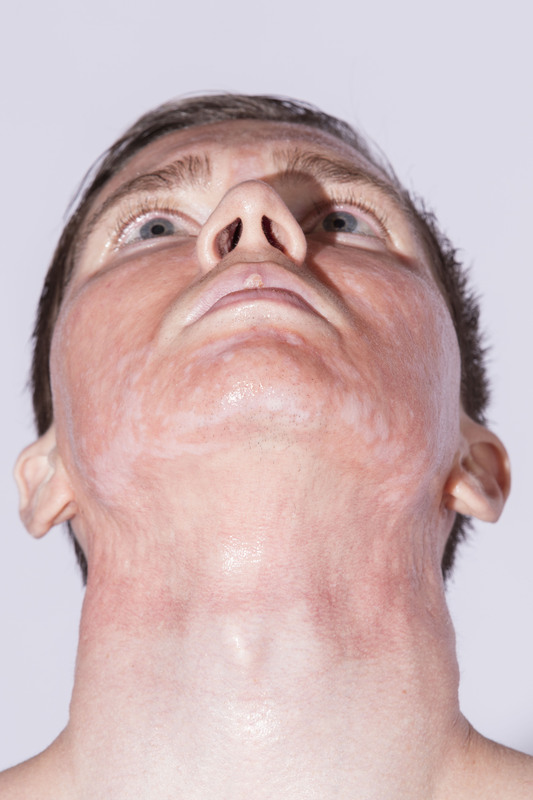 Topical chemotherapy is applied for three weeks creating erythema, scabs and crusts for up to six weeks.10 The combination peel will produce similar therapeutic benefits within ten days of healing. It thus reduces the morbidity significantly and gives the cosmetic benefits of improved photoaging skin. Bleaching products - hydroquinone 4-8% used in patients with pigmentary dyschromias and those with type III-VI Fitzpatrick skin pigmentation. Anti-viral agents in selected patients with history of facial HSV I infections. Vigorous cleaning and degreasing is necessary for even penetration of the solution. The face is scrubbed gently with Ingasam (Septisol - Vestal Laboratories, St. Louis, Missouri) four-inch by four-inch gauze pads and water, then rinsed and dried. Next, an acetone preparation is applied to remove residual oils and debris. The skin is essentially debrided of stratum corneum and excessive scale. A thorough degreasing is necessary for an even penetrant peel. The physician should feel the dry, clean skin to check the thoroughness of degreasing. If oil is felt, degreasing should be repeated. A splotchy peel is usually the result of uneven penetration of peel solution due to residual oil or stratum corneum, and a result of inadequate degreasing. After the Jessner’s solution has dried, the TCA is applied. The TCA is painted evenly with one to four cotton-tipped applicators that can be applied over different areas with light or heavier doses of the acid. Four cotton-tipped applicators are applied in broad strokes over the forehead and also on the medial cheeks. Two mildly soaked cotton-tipped applicators can be used across the lips and chin, and one damp cotton-tipped applicator on the eyelids. Thus, the dosage of application is technique dependent on the amount used and the number of cotton-tipped applicators applied. The cotton-tipped applicator is useful in quantitating the amount of peel solution to be applied. Care must be taken to ensure the acid is not dripped inadvertently over unwanted areas such as neck or eyes. Anatomic areas of the face are peeled sequentially from forehead to temple to cheeks and finally to the lips and eyelids. The white frosting indicates keratocoagulation or protein denaturation of keratin and at that point the reaction is complete. Careful feathering of the solution into the hairline and around the rim of the jaw and brow conceals the line demarcation between peeled and non-peeled skin. The perioral area has rhytids that require a complete and even application of solution over the lip skin to the vermilion. This is accomplished best with the help of an assistant who stretches and fixates the upper and lower lips while the peel solution is applied. 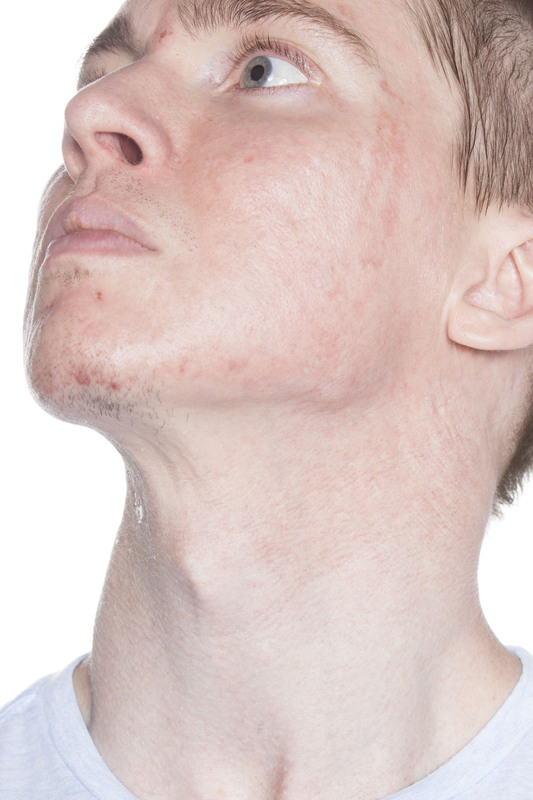 Certain areas and skin lesions require special attention. Thicker keratoses do not frost evenly and thus do not pick up peel solution. Additional applications rubbed vigorously into the lesion may be needed for peel solution penetration. Wrinkled skin should be stretched to allow an even coating of solution into the folds and troughs. Oral rhytides require peel solution to be applied with the wood portion of a cotton-tipped applicator and extended into the vermilion of the lip. Deeper furrows such as expression lines will not be eradicated by peel solution and thus should be treated like the remaining skin. The skin should be cleaned thoroughly with Septisol to remove oils. Acetone or acetone alcohol is used to further debride oil and scale from the surface of the skin. Thirty-five percent TCA is applied until a light frost appears. Cool saline compresses are applied to dilute the solution. The peel will heal with 0.25% acetic acid soaks and a mild emollient cream. There is an immediate burning sensation as the peel solution is applied, but this subsides as frosting is completed. Cool saline compresses offer symptomatic relief for a peeled area as the solution is applied to other areas. The peel reaction is not neutralized by saline solution as the reaction is completed when frosting occurs.15 The compresses are placed over the face for 5 to 6 minutes after the peel until the patient is comfortable. The burning subsides fully by the time the patient is ready to be discharged. At that time, most of the frosting has faded and a brawny desquamation is beginning. Postoperatively, edema, erythema, and desquamation are expected. With periorbital peels and even forehead peels, eyelid edema can occur and may be enough to close the lids. For the first 24 hours, the patient is instructed to soak four times a day with a 0.25% acetic acid compress made of 1 tablespoon white vinegar in 1 pint of warm water. A bland emollient is applied to the desquamating areas after soaks. After 24 hours, the patient can shower and clean gently with a mild nondetergent cleanser. The erythema intensifies as desquamation becomes complete within 4 to 5 days. Thus, healing is completed within 1 week to 10 days. At the end of 1 week, the bright red color has faded to pink and has the appearance of a sunburn. This can be covered by cosmetics and will fade fully within 2 to 3 weeks. The medium-depth peel is dependent on three components for therapeutic effect: (1) degreasing, (2) Jessner’s solution, and (3) 35% TCA. The amount of each agent applied creates the intensity and thus the effectiveness of this peel. The variables can be adjusted according to the patient’s skin type and the areas of the face being treated. It is thus the workhorse of peeling and resurfacing in my practice as it can be individuated for most patients we see. Though color change can be treated with repetitive chemical peeling, the medium-depth peel will be a single treatment preceded and followed by the use of bleaching agents and retinoic acid.17 In most cases, the pigmentary problems are resolved with this single peel as an adjunct to the skin care program. This medium depth peel will produce superior results for the conditions listed. (Table III) Removal of actinic keratoses, both present and incipient, affords the patient a single procedure with healing time within one week to ten days, as a preventive therapeutic modality for the removal of precancerous growths over the face. (Fig 4) A comparison study of the efficacy of Jessner's solution plus 35% trichloracetic acid with 5-Fluorouracil documented superior effectiveness of this single procedure with a significant reduction in morbidity.19 It is, thus, an effective, safe and simple single procedure that can be used to remove actinic keratoses and epidermal growths as both a therapeutic and cosmetic procedure. Glogau grade II photoaging skin can be effectively treated for improvement in both texture, color change, and epidermal growths with a medium depth Jessner's - TCA peel. Of equal importance to the procedure is choosing the correct patient for the procedure. Patients with superficial textural changes and those with epidermal growths seem to respond best to this peel. Fine wrinkles, cross-hatched lines, sallow color changes of photoaging along with the crinkly appearance are the textural changes that will respond to this peel. Additionally, epidermal growths such as freckles, lentigenes, actinic keratoses, and seborrheic keratoses will also respond well. (Fig 5) The more advanced changes seen with deeper grooves and wrinkles, pebbly appearance of the skin and more pronounced gravitational changes of Glogau III and IV photoaging skin require either deep chemical peeling or laser resurfacing. Using trichloracetic acid or any of its combinations as a deep chemical peel for these more advanced indications will only risk potential side effects and complications. Pigmentary dyschromias such as melasma, blotchy hyperpigmentation, and pigmentary growths do respond well to medium depth chemical peeling. This is especially suited for those problems which have not resolved well with medical treatment or repeated light chemical peeling. Epidermal pigment seems to respond the best and this can be identified with Wood's light examination. Dermal pigment will show some response but not as effective as epidermal pigment. This combination peel is effective in that it will fully remove the epidermis as well as have an effect on melanocytes in the pilar apparatus during reepithelialization. 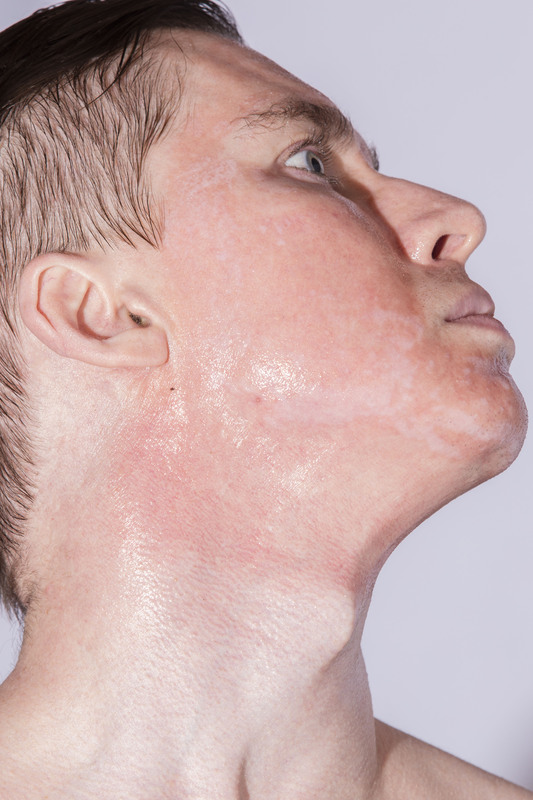 It is important that these patients be prepared correctly with 4-8% hydroquinone, tretinoin and sunscreen begun at least six weeks prior to the peeling procedure. The bleaching agent is reinstituted after reepithelialization and tretinoin six weeks later. It should be continued for up to three months after the chemical peel and sunscreen used for longer period of time to insure the dyschromia does not return. There are many bleaching agents on the market today which have some lightening effect, but hydroquinone is the most effective. At the conclusion of the chemical peel, the inflammatory phase has already begun with a brawny, dusky erythema that will progress over the first twelve hours. With the medium depth peels, the epidermis will begin to separate, creating a leathery, dry, cracking appearance to the epidermis. This is an accentuation of pigmented lesions on the skin as the coagulation phase separates the epidermis, producing serum exudation, crusting and pyoderma. It is during this phase that it is important to use debrident soaks and compresses as well as occlusive salves. These will remove the sloughed necrotic epidermis and prevent the serum exudate from hardening as crust and scab. I prefer the use of 1/4% acetic acid soaks found in the vinegar water preparation (one teaspoon white vinegar, one pint warm water), as it is antibacterial, especially against pseudomonas and gram negatives. In addition, the mildly acidic nature of the solution is physiologic for the healing granulation tissue, mildly debrident, as it will dissolve and cleanse the necrotic material and serum. Occlusive dressings including bland emollients and salves and biosynthetic membranes. For medium depth peeling, I prefer the occlusive salves as these can be monitored carefully day by day for potential complications. Reepithelialization begins on day three and continues until day seven to ten. Occlusive salves promote faster reepithelialization and less tendency of delayed healing.21 The final stage of fibroplasia continues well beyond the initial closure of the peeled wound and continues with neoangiogenesis and new collagen formation for three or four months. 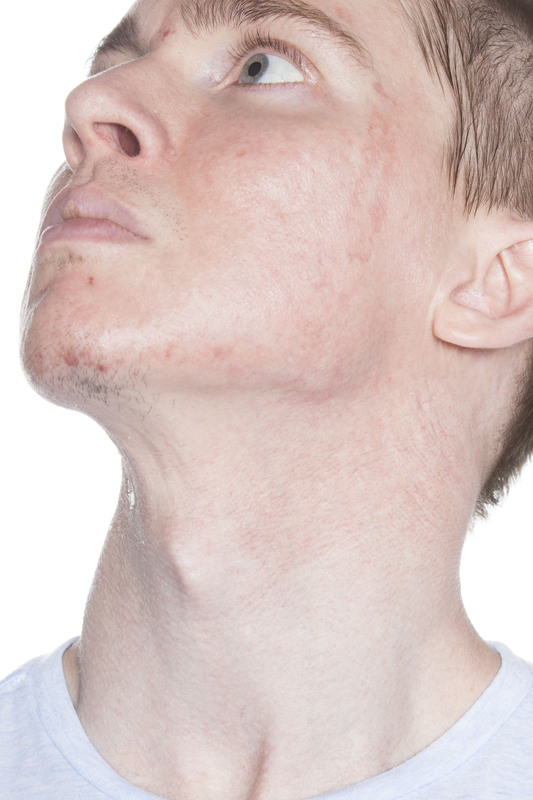 Prolonged erythema may last two to four months in unusual cases of sensitive skin or with contact dermatitis. New collagen formation can continue to improve texture and rhytides for a period up to four months during this last phase of fibroplasia. Many of the complications seen in peeling can be recognized early on during healing stages. The cosmetic surgeon should be well acquainted with the normal appearance of a healing wound in its time frame for medium depth peeling. Prolongation of the granulation tissue phase beyond one week may indicate delayed wound healing. This could be the result of viral, bacterial or fungal infection, contact irritants interfering with wound healing, or other systemic factors. A red flag should alert the physician that careful investigation and prompt treatment should be instituted to forestall potential irreparable damage that may result in scarring. Thus, it is vitally important to understand the stages of wound healing in reference to medium depth peeling. The physician then can avoid, recognize and treat any and all complications early on. Specific complications will be discussed in the appropriate chapter. The evolution of medium depth chemical peeling has changed the face of cosmetic surgery. 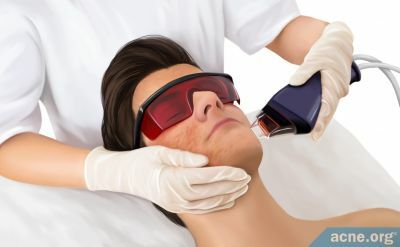 It has introduced new techniques into the armamateria of the cosmetic surgeon to treat problems that previous have been approached with tools inadequate to obtain the results for moderate photoaging skin or with overly-aggressive treatment using deep peeling agents. The combination peels have provided some of the more popular tools needed to approach a burgeoning population with photoaging skin. Dilute and Have Emergency Baking Soda Water to Neutralize! Don't go buy TCA Acid at high percentages which is car part cleaner on various places on the internet and think my scars are bad so I will put the strongest possible. This is your face not concrete!!!! TCA Cross Dilute your acid to 20% and spot treat one tiny spot and see (how you heal, how long it takes, etc). -- The person below has ethnic darker pigmented skin (This also can happen to lighter Asian skin, ...Caucasians have less pigmentation reaction), dilute more depending on your skin type and test . Anyone with darker skin must also skin bleach cream (hydroquinone) before & after acid or laser procedures. 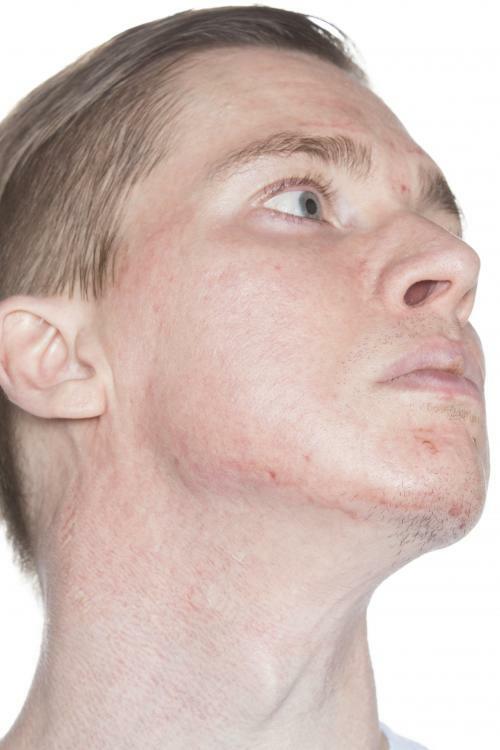 Atrophic acne scars are difficult to treat. The demand for less invasive but highly effective treatment for scars is growing. To assess the efficacy of combination therapy using subcision, microneedling and 15% trichloroacetic acid (TCA) peel in the management of atrophic scars. 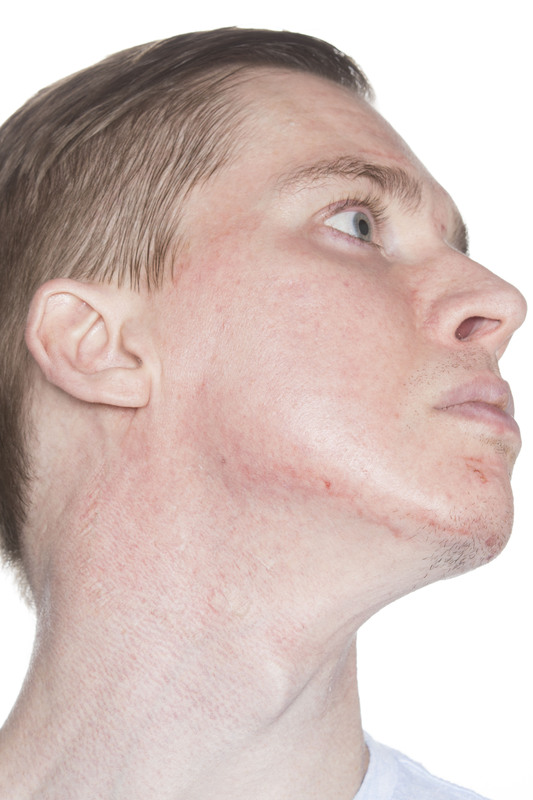 Fifty patients with atrophic acne scars were graded using Goodman and Baron Qualitative grading. After subcision, dermaroller and 15% TCA peel were performed alternatively at 2-weeks interval for a total of 6 sessions of each. Grading of acne scar photographs was done pretreatment and 1 month after last procedure. Patients own evaluation of improvement was assessed. Out of 16 patients with Grade 4 scars, 10 (62.5%) patients improved to Grade 2 and 6 (37.5%) patients improved to Grade 3 scars. Out of 22 patients with Grade 3 scars, 5 (22.7%) patients were left with no scars, 2 (9.1%) patients improved to Grade 1and 15 (68.2%) patients improved to Grade 2. All 11 (100%) patients with Grade 2 scars were left with no scars. There was high level of patient satisfaction. This combination has shown good results in treating not only Grade 2 but also severe Grade 4 and 3 scars. Chemical peel is the most popular and common non-invasive cosmetic procedure done since the 18thcentury. The earliest use of caustic preparations for peeling procedures was described in the Egyptian medicine in the Ebers papyrus as early as 1550 BC. [1,2] Dermatologists began to show interest in peeling in the 19th century. In 1874 in Vienna, the dermatologist Ferdinand von Hebra used the technique to treat melasma, Addison's disease, and freckles. In 1882 in Hamburg, Paul G. Unna described the actions of salicylic acid, resorcinol, trichloroacetic acid (TCA), and phenol on the skin. During the first half of the 20th century, phenol and TCA were used in several centers. Alpha-hydroxy acids (AHAs) became available as superficial peeling agents in late 1980s and the 1990s. AHAs are used in treating aging skin, melasma, photoaging and acne. Chemical peeling involves the application of a chemical agent of a defined strength that results in exfoliation of the skin followed by regrowth of new skin leading to skin rejuvenation. It is a technique-dependent procedure. 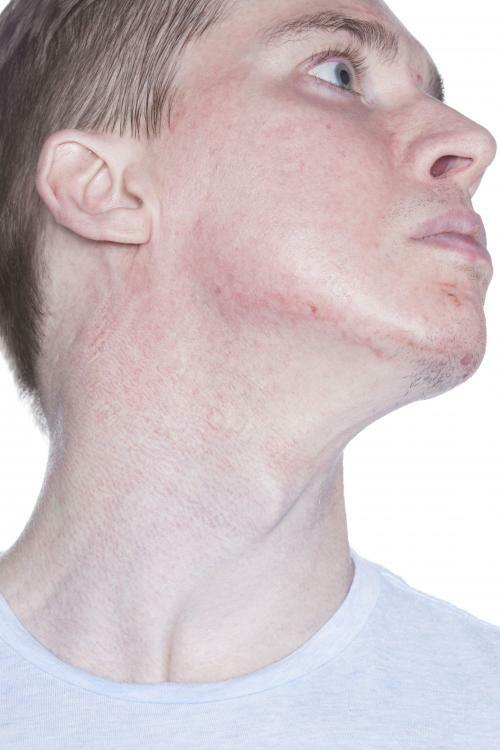 Although rare, complications may occur including persistent erythema, milia, scarring, etc. 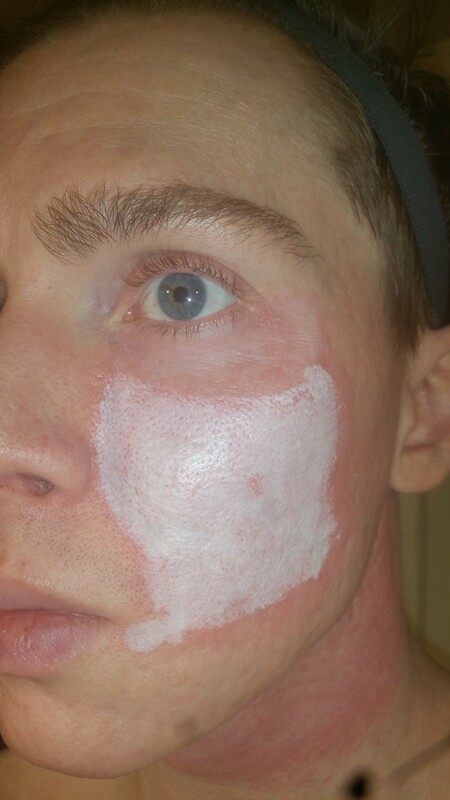 Prolonged sun exposure, inadequate application of sunscreen, using topical retinoid or glycolic acid immediately after peels can lead to this complication. Paradoxically, in some patients, sunscreens can themselves cause contact sensitization or irritant dermatitis. It is characterized by the skin remaining erythematous beyond what is normal for an individual peel. Erythema disappears normally in 3-5 days in superficial peel, 15-30 days in medium peel, and 60-90 days in deep peel. Erythema persisting beyond the above-mentioned time is abnormal and is an alarming sign. It is a predictor of potential scarring. 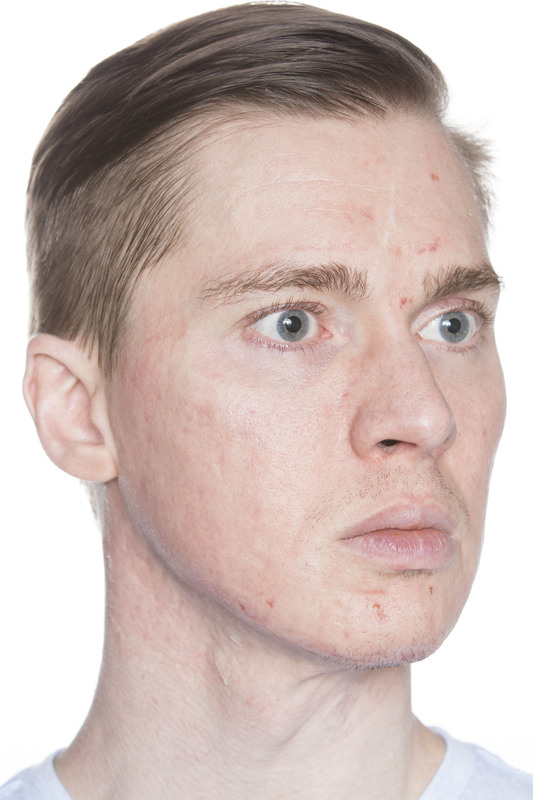 It is more common after superficial and deep peels, although may occur following re-epithelialization. It is more common with medium and deep peels occurring within 24-72 h of chemical peeling. In case of superficial peels, care should be taken while peeling patients with thin, atrophic, dry skin and in the periocular area since edema can occur in these settings because of deeper penetration. It is usually seen after a Baker Gordon phenol peel. Protection of the globe with artificial tears. An assistant should always have a clean dry cotton-tipped applicator in his hand which should be used to absorb any tears that may drip down the face or into the temporal area. Pseudomonas or Escherichia coli infections. Active herpetic infections can easily be treated with anti-viral agents. A course of Valaciclovir, 1 g twice daily for 10 days may be given. If detected early and treatment is given on time, they do not scar. Patients with a positive history of herpes simplex should be given 400 mg of acyclovir three times a day beginning on the day of the peel and continuing for 7-14 days, depending on whether it is a medium depth or deep chemical peel. Few recommend acyclovir 200 mg five times a day or valaciclovir, 1 g times a day starting 2 days before a peel and continued for 14 days. It is preferred to treat all patients with anti-viral agents regardless of a positive history as many patients do not remember prior herpes simplex infection that may have occurred years ago. A negative history of cold sores cannot predict development of post-operative herpes simplex virus infection after a procedure. [10,11] Since all anti-viral agents inhibit viral replication in the intact epidermal cell, the drug would not have an inhibitory effect until the skin is re-epithelialized, which is 7-10 days in medium and deep peels. In the past, these agents were discontinued at 5 days and in these patients, clinical infection became apparent in 7-10 days. Diminished or absent skin appendages may impair epidermal regeneration with delayed wound healing. Presence of vellus hairs may indicate that epidermis is capable of regenerating after a chemical peel in spite of previous radiation for cancer. It is characterized by the loss of normal skin markings in the absence of scarring. It may occur with phenol peels but has not been usually seen with superficial or medium depth TCA peels. 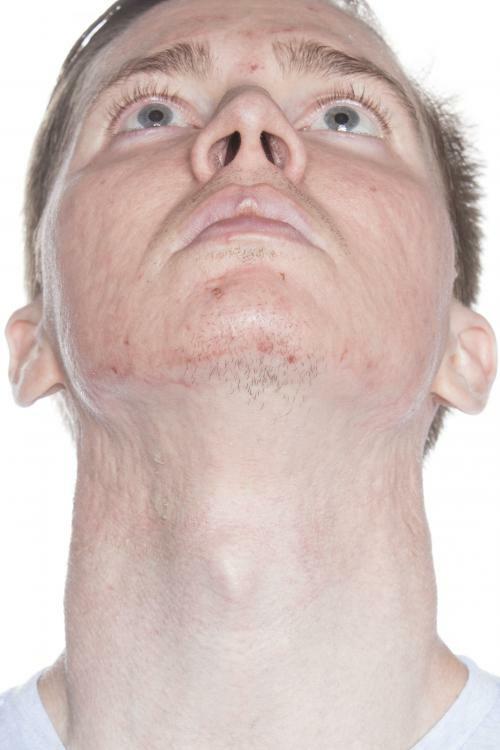 Periorbital skin is very prone since it is physiologically thinner than most facial areas. Patchy erythema which may be indurated or persistent erythema can predict early scarring. The risk of hypertrophic scarring from medium depth peels is rare. If it occurs, it is most commonly seen along the mandibular region and in the perioral regions. 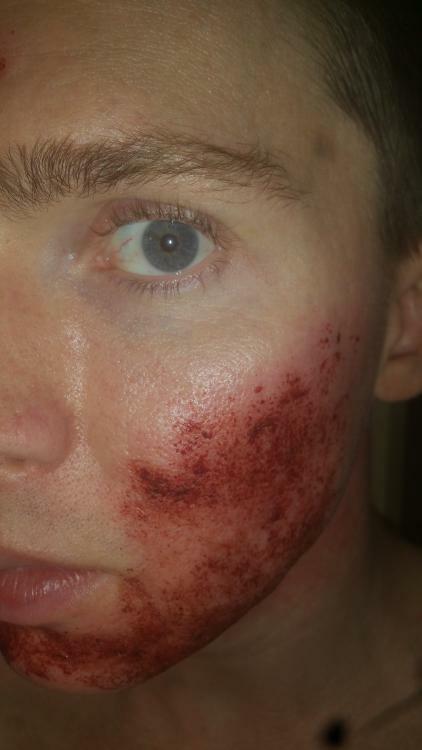 TCA is more caustic than phenol and may be more likely to produce scarring [Figure 4]. History of recent intake of 0.5 mg/kg isotretinoin (during the previous 12 months). Clinically, it is safe to perform a peel on patients after their skin begins to produce normal oil. Before performing any resurfacing procedure, most practitioners recommend to wait for 18-24 months after high-dose isotretinoin has been stopped, except in case of superficial peels. Low-dose isotretinoin in the dose of 10-20 mg three times a week is found to be safe and effective during the peel period. Recent ablative resurfacing procedures including dermabrasion or laser within 6 months of procedure. Since re-epithelialization occurs from adnexal structures, some authors have theorized that patients recently treated for hair removal with lasers may have trouble healing after medium or deep depth peels. In patients deliberately face peeled with phenol in 30-min time, tachycardia was usually noted first followed by premature ventricular contractions, bigeminy, paroxysmal atrial tachycardia, and ventricular tachycardia. Some progressed to atrial fibrillation,[16,17] Resorcinol resembles phenol in its systemic actions. Theoretically, similar complications might be induced if painted over one-third of body surface. A 40% peeling resorcinol paste applied daily for 3 weeks produced dizziness, pallor, cold sweat, tremors, and collapse on final application. [3,18] Resorcinol has an anti-thyroid activity. Hence, continuous application can cause myxedema. Repeated applications should be applied with caution in low body weight patients. Intravenous hydration with 0.5-1 of fluid (lactated ringers) before and during procedure to enhance phenol excretion and avoid renal toxicity. Cardiac monitoring to detect any electrocardiography abnormality (premature ventricular contraction/premature atrial contractions). In such cases, the procedure should be halted. Full face peels should be performed over a 60-90 min period of time. Each cosmetic unit (forehead, cheeks, nose, perioral, and periorbital areas) should be peeled in 15 min increments. Peeling segments of the face in intervals with diuresis will allow metabolism and excretion of phenol and reduce arrhythmias. The use of chemical peels to improve the appearance and quality of skin has been described as early as 1550 BC in the Egyptian Papyrus Ebers (Bryan, 1974). Ancient Egyptian women, most famously Cleopatra, were known to bathe in sour milk to soften the skin. Since the 19th century, dermatologists have made use of various chemical agents to perform peels as a treatment for acne, pigmentary changes, actinic keratoses, and photoaging. In 2000, the chemical peel was the most popular minimally invasive cosmetic procedure with over 1 million treatments performed. Although this number has remained stable, in recent years peels have been surpassed by the rapid growth of botulinum toxin and soft tissue filler procedures (American Society of Plastic Surgeons, 2013). Trichloroacetic acid (TCA) holds an important place in the assemblage of chemical peeling agents, and is widely known for its safety and reliability. However, its use is highly technique-dependent and results rely heavily on the operator. 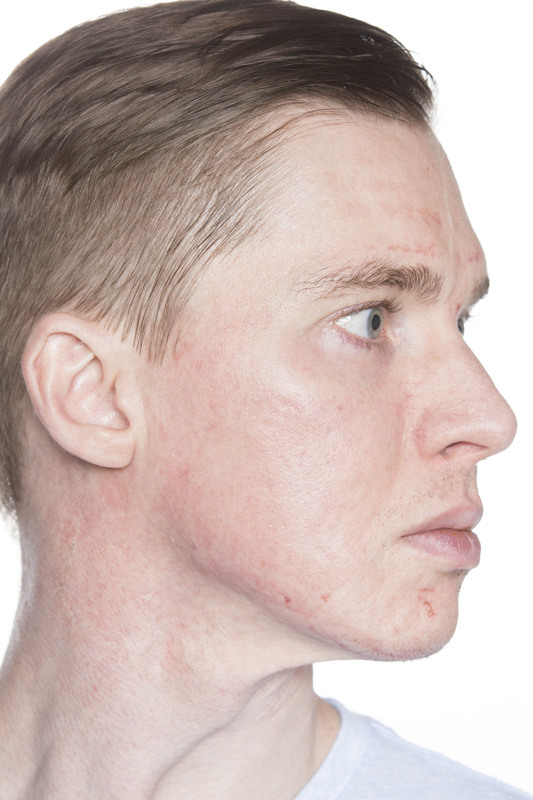 TCA is frequently used dependably by the experienced practitioner, and there is a relative dearth of reports of complications related to TCA peels. Here we present a case of improper home usage of 50% TCA by a patient resulting in chemical burn. There are no similar reports in the peer-reviewed literature involving this strength of TCA, nor are there previously published histopathological data to support this unique complication. 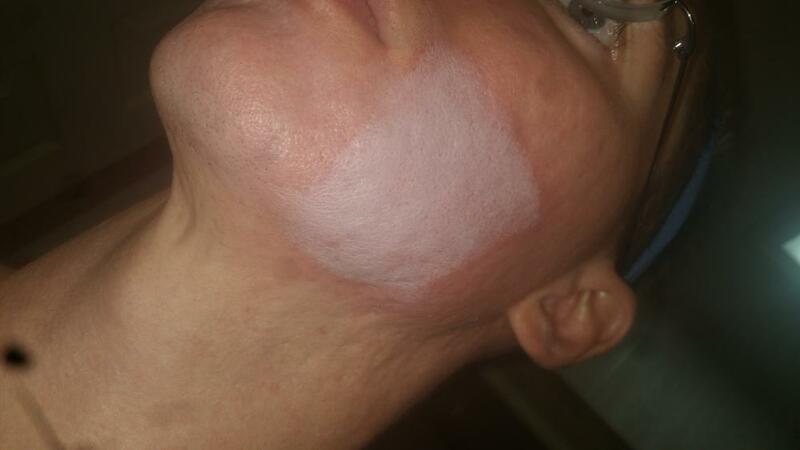 We also review adverse events related to chemical peels in the English literature. 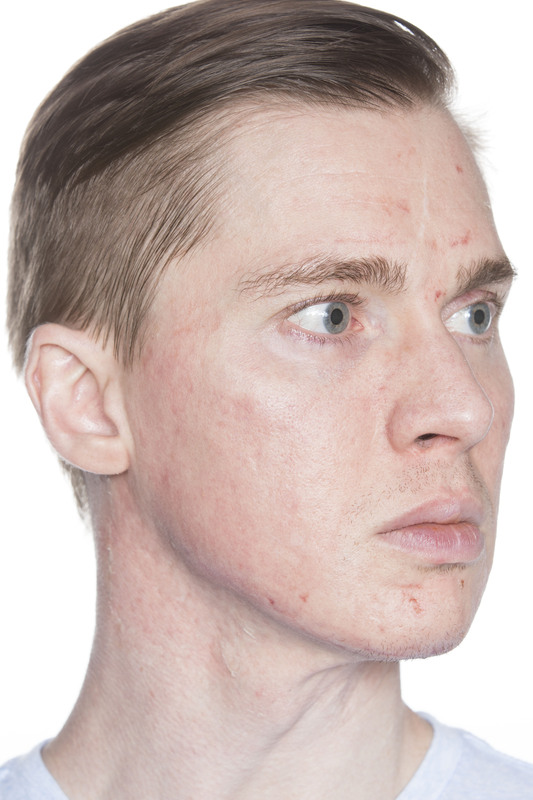 A 38-year-old Asian male with Fitzpatrick Phototype IV skin was using 10% TCA at home for treatment of acne. 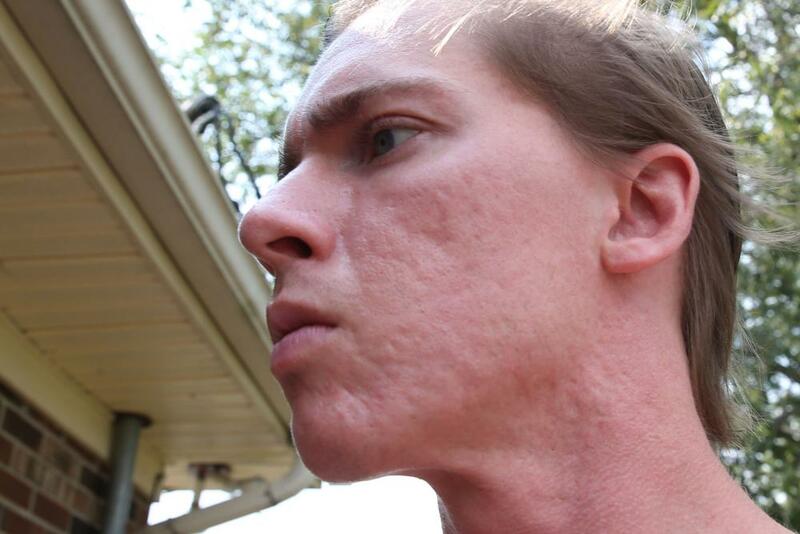 Seeing that his acne was improving with this regimen, he sought to achieve faster and more dramatic results. 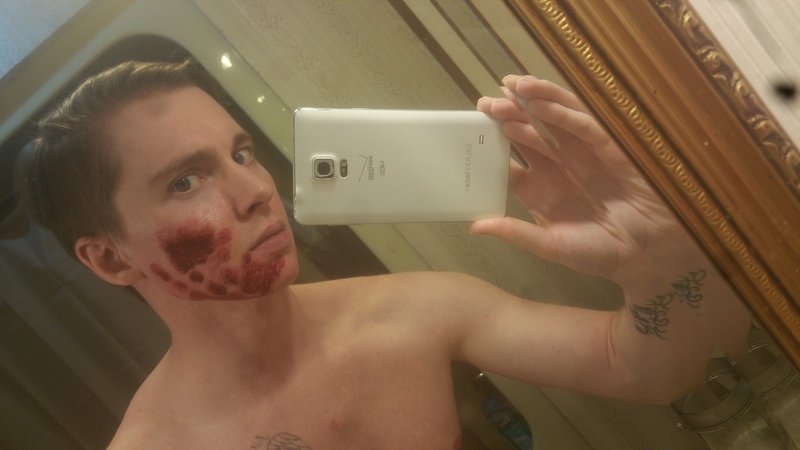 The patient then purchased 50% TCA online and applied it to his face. Upon application he felt severe stinging and noted white frosting of the skin. He tried to wash off the TCA with cold water; however, over the next few days, noticed that his skin began to change color. He presented to clinic for a consultation and evaluation 4 days after using 50% TCA. On examination of his face (Fig. 1) there was intense hyperpigmentation of the skin with an almost ecchymotic color, and sharp lines of demarcation. The skin was non-tender and no hyperkeratosis or peeling was noted. A biopsy was performed of skin from an involved area on the forehead near the hairline. 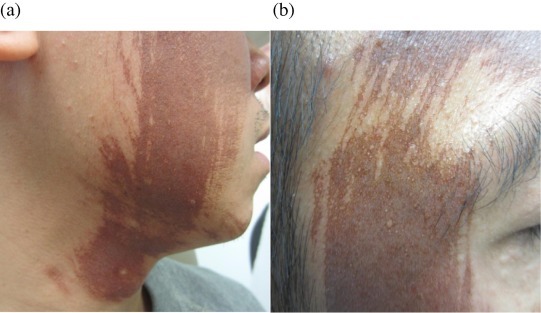 Erythema and hyperpigmentation four days following 50% TCA application to the face (a) and temple (b). The microscopic specimen showed necrosis of the superficial spinous layer as well as focal full-thickness epidermal keratinocyte necrosis (Fig. 2). There was a mild superficial perivascular lymphocytic infiltrate with few neutrophils and eosinophils. Also, there was pigment found within many of the necrotic and remaining viable keratinocytes, likely contributing to the clinical findings. There was focal dermal pigment incontinence with few melanophages found in the papillary dermis. In addition, much of the epidermal pigment within the necrotic and remaining keratinocytes was retained. The histopathological findings correlated well with a chemical burn following TCA exposure. Histopathological specimen from affected skin of the right forehead near the hairline showing epidermal necrosis and pigment incontinence. 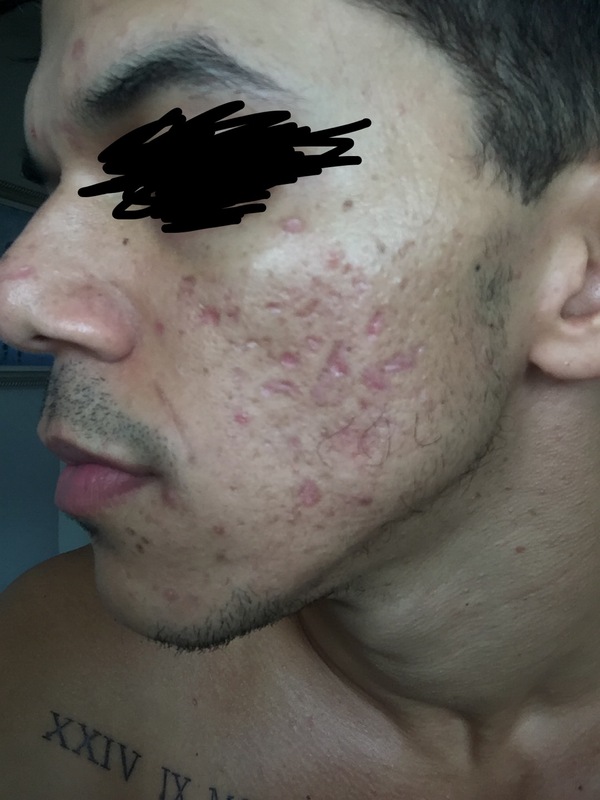 This patient was started on a regimen of fluocinolone 0.01% cream, hydroquinone 4% cream, and tretinoin 0.05% cream, as well as aggressive moisturization. He was also instructed to use sun protection by wearing a hat and applying sunscreen every few hours. Unfortunately, this patient was subsequently lost to follow-up. TCA is one of the most widely used peeling agents, along with alpha-hydroxy acids (AHAs) and phenol. Unna first described the action of this inorganic acid on the skin in 1882 (Brody et al., 2000), and several authors soon followed. There are a multitude of indications for TCA peels including photoaging, rhytides, lentigines, actinic keratoses, acne, acne scars, melasma, and dyschromia. 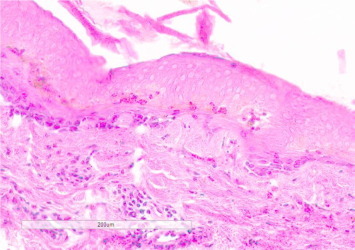 TCA works by precipitating proteins and inducing coagulative necrosis of the epidermis and/or papillary dermis. This is followed by sloughing off of the necrotic layers and reepithelialization via germinative centers of neighboring hair follicles over the next several days. TCA peeling also promotes dermal collagen remodeling, which can continue for months (Nguyen and Rooney, 2000). TCA has a protein dissociation constant (pKa) of 0.52, making it an inherently stronger acid than AHAs (pKa of glycolic acid – 3.83). TCA is self-neutralizing within minutes after application, and appearance of a white frost indicates the endpoint of the peel. TCA in strengths of 35% or less is used for superficial peeling whereas in strengths of 35–50% it is used for medium-depth peeling. When used alone at the higher concentrations, TCA is less predictable and is associated with an increased risk of adverse events, including hypertrophic scarring (Nguyen and Rooney, 2000). For this reason, TCA at lower concentrations is often combined with other peeling agents to achieve the desired depth while minimizing the side-effect profile. 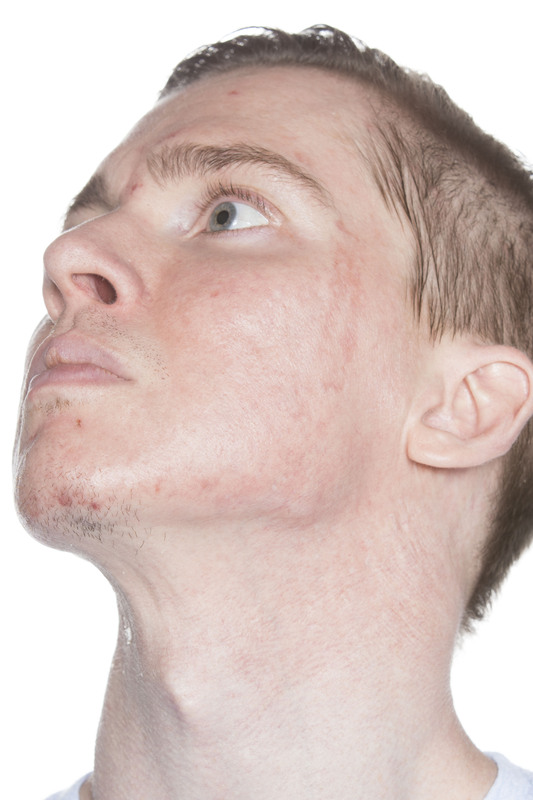 One common approach is to use 35% TCA after Jessner’s solution for treatment of actinic keratoses. Currently, there is a relative scarcity of reports in the literature on adverse events following TCA peels. 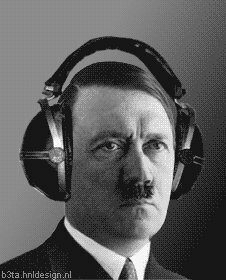 It is likely that such events have been underreported, but are nevertheless quite rare. The risk of an adverse event following a peel is directly related to the depth of the peel, which in turn is determined based on the level of injury produced (Table 1). 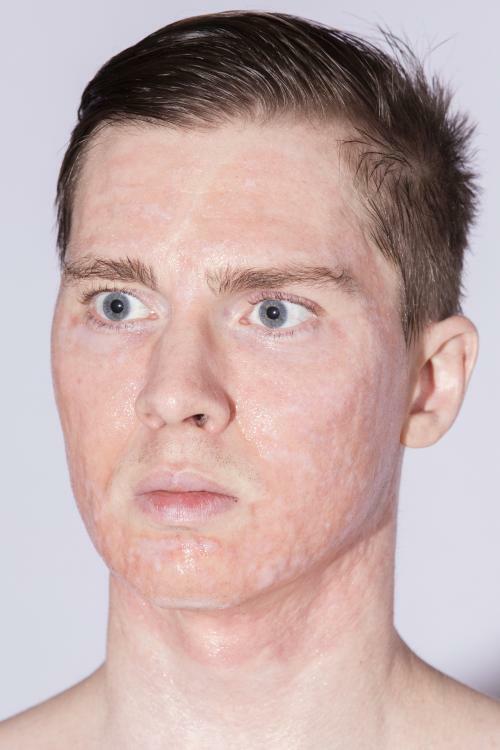 Complications associated with chemical peels can be divided into immediate onset effects, which occur within minutes to hours, and late onset effects, which occur in days to weeks (Nikalji et al., 2012) (Table 2). Our patient’s striking presentation following 50% TCA reflects hyperpigmentation in combination with persistent erythema. Hyperpigmentation is the most common complication occurring after a TCA peel (Nikalji et al., 2012). The mechanism underlying TCA induced hyperpigmentation may be related to the skin stress response system. A recent study suggests that TCA activates the skin stress response system by directly inducing pro-opiomelanocortin and melanocortin-1 receptor production by keratinocytes (Kimura et al., 2012). Persistent erythema is erythema lasting longer than expected for an individual peel (Monheit, 2004). It is often a predictor of scarring, and some authors assert that areas of erythema three weeks after a peel should be viewed as definite precursors to scars that must be treated aggressively (Rubin, 1995). Level of peel, peeling agent, and depth of injury. DEJ – Dermal–epidermal junction. Side effects and complications of TCA peels. Adapted from Nikalji et al. (2012). Several factors predispose patients to hyperpigmentation following chemical peels. Ethnic or Fitzpatrick Phototype III–VI skin is particularly vulnerable to both hyperpigmentation and hypopigmentation. In addition, skin of color responds less predictably to chemical peels, and is more prone to hypertrophic scarring (Roberts, 2004 ; Salam et al., 2013). These factors preclude such patients from receiving deep peels, and warrant the use of great caution for superficial or medium peels, even by the experienced practitioner (Roberts, 2004 ; Salam et al., 2013). In addition, use of estrogen containing medications, photosensitizing drugs, and early exposure to sunlight all increase the risk for hyperpigmentation (Nikalji et al., 2012). In the case of our patient, skin type and improper self-administration of high strength TCA were the leading instigating factors. Preventative measures are the most ideal methods for avoiding complications related to chemical peels. Although there is no universally accepted protocol, several authors recommend pre-treating the skin with a combination of a topical retinoid, hydroquinone, and topical steroid applied daily for 2–4 weeks prior to the peel (Roberts, 2004; Salam et al., 2013 ; Fischer et al., 2010). Nanda et al. (2004) found that pre-peel priming with 2 % hydroquinone was effective in reducing the risk for hyperpigmentation, with similar improvements as those seen with 0.025% tretinoin at 12 weeks post-peel. However, the hydroquinone group had a statistically superior reduction in hyperpigmentation at 6 months. These agents, in addition to rigorous sun protection, are thought to suppress melanocytes (Bulengo-Ransby et al., 1993) prior to the peel and hence prevent hyperpigmentation. Some recommend continuing this regimen post-peel as well for maximal efficacy, and a similar approach is used to treat hyperpigmentation resulting from a peel. For refractory hyperpigmentation, laser treatment may be of benefit. In summary, chemical burn is a very rare complication following TCA peels. Here, we report the first case to our knowledge of a chemical burn from 50% TCA presenting with striking dyschromia. 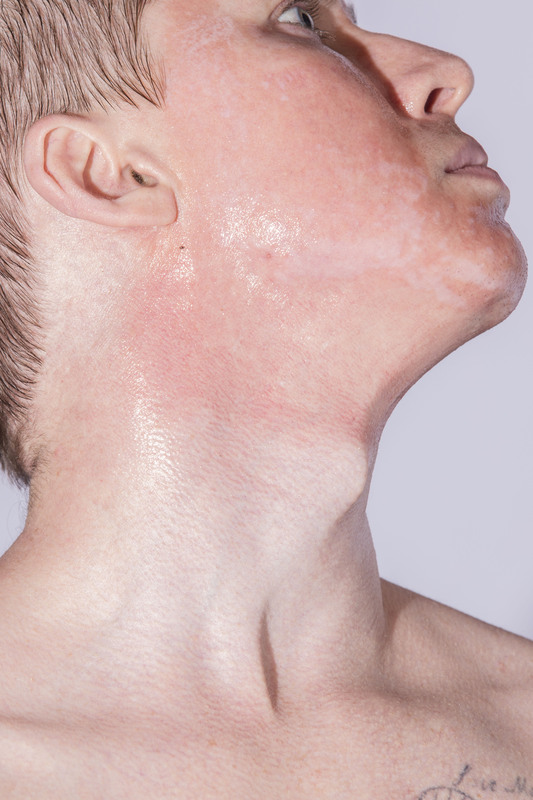 This clinical scenario emphasizes the importance of understanding the adverse effects of peeling agents, as well as the differential responses of ethnic skin to these treatments. Finally, physicians must be aware of the accessibility of these chemicals outside of the medical setting, and the potential for misuse. What sort of aftercare does everyone here do after a peel? I did my first chemical peel 5 days ago, 2 layers of 12.5% TCA. I just used the same cleansers and moisturizes I have been using for a while now, only thing i changed is loads more moisturizer and I stopped retin A 3 days prior and didn't resume retin A until 4 days after. It developed a few pimples, all really tiny and insignificant, but would prefer not to next time. I read a number of things about aftercare, some suggest using vinegar soaks and others triple antibiotic, I may consider using one or both of these after my next peel. Vaseline or Aquaphor until the scabs and crust fall off. Reapply several times a day with 10:1 vinegar soaks (w/water) patting it on areas not rubbing. Never use soap as it can irritate wounds, until scabs fall off. If you have infection that is when you spot treat with TAO or Iodine. You can moisturize and use non harsh serums when your scabs / dead skin fall off. Use Retin A for a few weeks until 1 week before procedure. 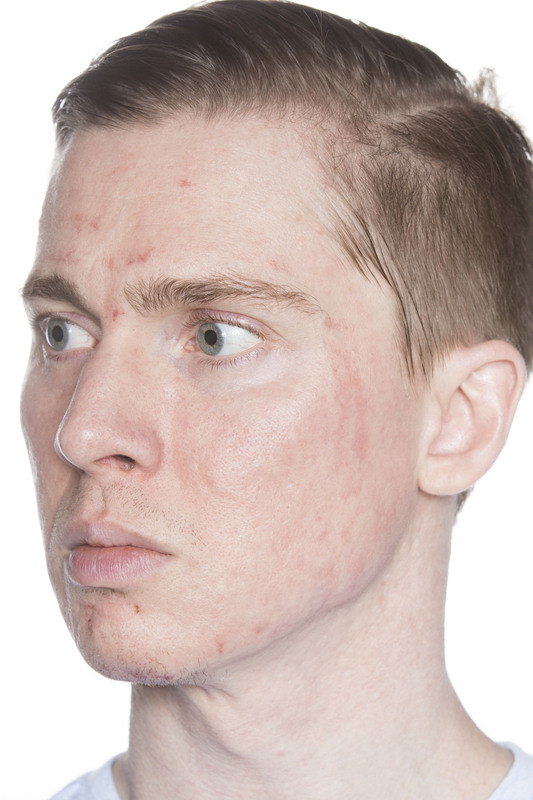 Never use any other products for acne when your skin is raw unless you spot treat and it's infected. Vinegar soaks and clearing off old Vaseline helps. A pure HA -Hyaluronic Acid w/ nothing added serum is great when the scabs fall off. The use of smoking or drugs can hinder cell growth, also sugar and junk food. Get plenty of rest. Change the towel you use over your pillow nightly for the vaseline. Some people use stem cells on their wounds. You want products that contain as few things as possible and no alcohol. Anteage $$$ looks interesting, they have a bone stem cell and HA only product for microneedling, lases, and peels. I use Biafine you can find on ebay instead of vaseline, it doesn't break me out and is used for burn victims, has paraffin in it and a aspirin ingredient I believe. Avene and Roche P also make similar after care products for laser and peels. Vitamin C, and Fish Oil are great antioxidants. Collagen supplements. Some people spray Colodial Silver spray to kill germs. Hydrogels you can gel on amazon are also good for wounds as a substitute for Vaseline, but you have to reapply more to keep it moist. Once the crust falls off I would use the pure HA serum I mentioned above with a layer of moisturizer over it. 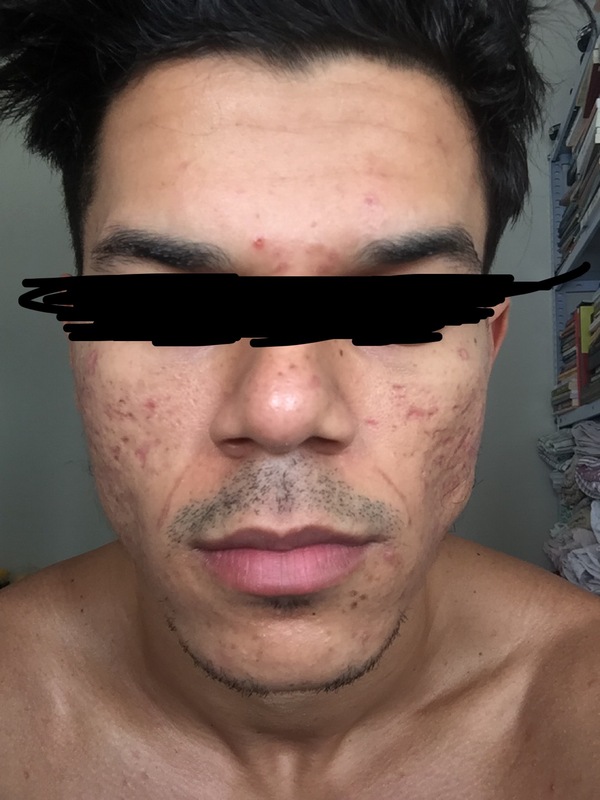 I've read your article about your experience on TCA cross treatment. Man, mostly just like you I've done the same. I had bought the acid online, I got the 80% TCA. I've followed precisely the instructions for the Ice picks scars treatment. On the first day it got white, on the following morning it turned dark brown, then it turned out scabs and after one week there about the scabs started peeling off. 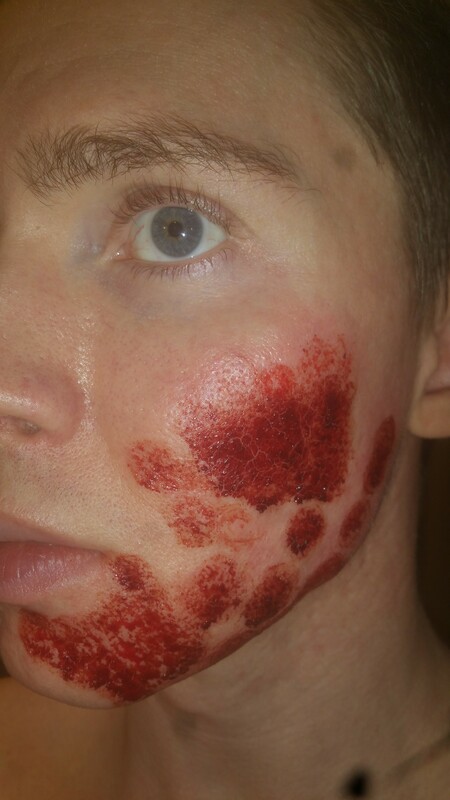 Some remains on my cheeks and peeled off later on slowly. The things is: My face got this aspect of stained / burned. What was the red in the early days (which is normal) it is now dark brown and it has already been two weeks. Looks like the spot got burned. I also had two lines in the on the side of my mouth, I'd put the acid on these lines, now it's been 3 weeks they keep this aspect of burned lines skin. I'm an actor, I work with my image. I need my uniform skin back, I can't stand on makeup any longer. 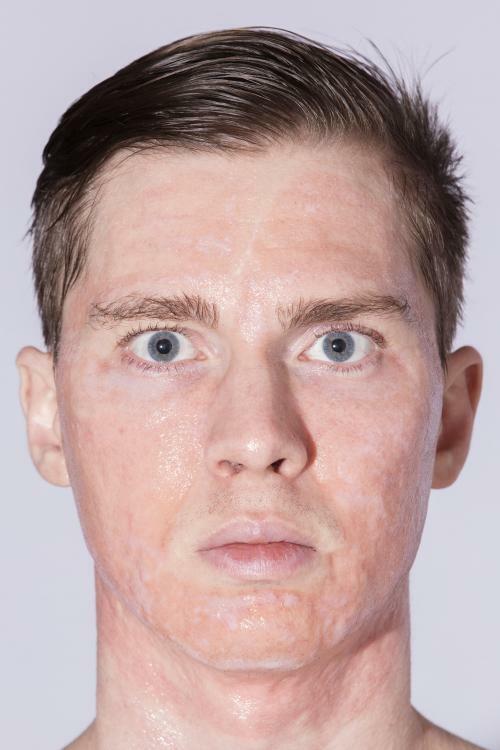 I thought the acid'd actually reduce my scars. It did disguise some shallower ones for sure. However I ended up with these aspect of burned skin which doesn't really compensate the "gain". I am very concerned and need to do something soon to have a more efficient outcome. I've hydrated my face every single day with moisturizing creams, and put sun block all over my face, even when I am inside my home. But I don't think it is working and I don't have money to see a doctor! Please help me. I've attached few pictures of my face bellow. Were those red pigmented areas already there, or are they a result of the TCA itself? I have done 7 or 8 2-3 layer TCA 25% peels and havent had any issues. Im normally completely peeled by day 6 with no hyperpigmentation. I am going to attempt my 1st 35% peel and let it be my final peel until November. I havent done a peel since January 10th so I feel my face is ready for another. What steps should I take to do this peel that might be any different from the others and what should I expect to be different. I have been using Perfect Image Salicylic Deep Gel Cleanser for about a week now. 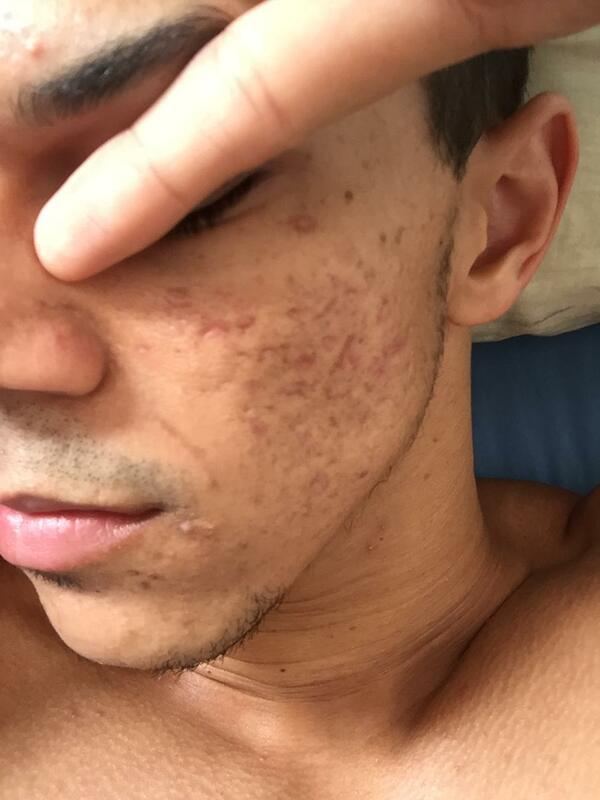 Since I started using it my Peel time has been cut in almost half and Ive had much better skin texture immediately following a peel. I have also bought Cosmedica Pure Hyaluronic Acid Serum. I have never used it before and I am wondering if or when it should be used with a peel. Use it after peel is applied then by day 2 or 3 start using aquaphor or wait and use it once all skin has peel and just use aquapher after I have applied the peeling agent to my face and during the peeling process? Ok sounds like your pre peeling. Some people do a Jessner pre peel a week before to break up the Stratum corneum. When it's time for the TCA, Are you cleaning the oil off good enough. Some people have very oily skin. In the doctors office they use a product that is like odorless mineral spirits to remove the oil. This gives a much deeper peel than a simple alcohol cleanse. I wonder how effective your TCA is. Some TCA is not really 35% and people don't get results. The stuff they sell on ebay is often buffered. Hopefully your getting frosting (white) if not then it may be oily still (The skin). When to use the HA serum, I would do it a few days after. For your first few days you want something very moisturizing like vaseline, biafine, or triple antibiotic cream. This is like when you have laser. You will do daily gauze dilute (water) white vinegar pats to the skin, to kill bacteria, and clean the old Vaseline off. Do not rub of course, pat. 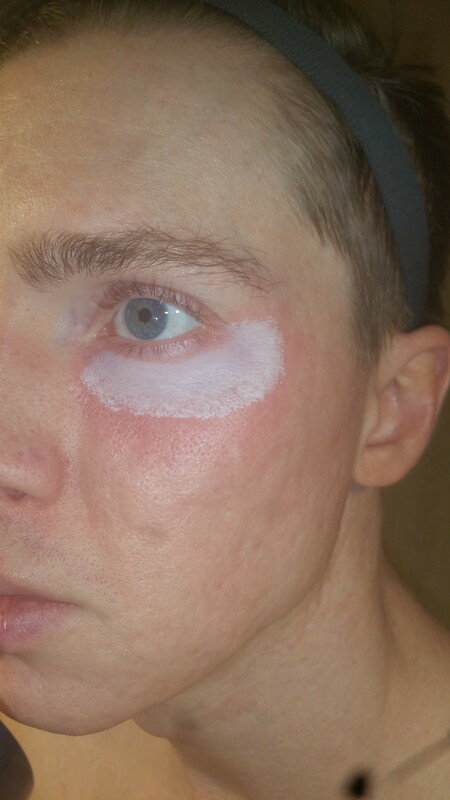 Before my peel I put alcohol on a cotton pad and wipe down the entire area I plan on applying the peel to. Is there a place I could locally buy something like the mineral spirits in the United States or would you stick with the same method in case this gives me a peel deeper than I am ready for if I was handicapping the other peels. When Im using the 25% I make sure I frost. Id say 80%+ of the area I apply the TCA 25% to frosts on the 1st coating. I then apply 2 more layers spaced 5 minutes apart. I attached a pic of the kind of frosting I get after 1 layer. The pic is not with it applied to my entire face....only that area. Is this sufficient frosting for 1 layer? Skin Obsession 25% TCA is what I had been using however they do not have a TCA 35% product. The 35% product I have is by Erlenmeyer's Laboratory and I have yet to apply it. I have never done a 35% peel before. I have only done multilayer 25% peels. I have had 1 fractional laser treatment and my entire face had healed in just 5 days. The doctor and nurse brought in other people to look and said they had never seen anyone completely peel so quickly. The difference with the laser and the TCA is that I was noticably pink for about 2 weeks after the laser. With the TCA 25% my scars look a little discolored compared to the rest of my skin but within a week everything is good. That looks about right on frosting. Look for medical acetone in google shopping. You need to test a spot to see your skins reaction before applying fully. I may be mistaken but fingernail polish remover is acetone, may have other things in it. Do not do a multi layer 35% peel. It should work at that percentage. I think you need to do a test spot as I have read there is a diffrence between those 2 brands and strength. This is why I don't buy those brands, they are considered industrial chemicals not medical. Hence why they tare so cheap. My favorite company is Makeup Artists Choice, excellent customer service for their TCA. Your skin may be resistant to treatments, the higher you go it can lead to complications though. I think you should be microneedling dermstamping (owndoc.com derminator) form the pic with 1.5mm or above and alternating Monthly with your TCA peels. This will encourage collagen production. I have done 3 dermastamps of 1.5mm since november. I plan on getting the derminator in April. I have been dermastamping 2-3 weeks after completely peeling from the TCA each time. I plan on stamping again the 2nd week of April. I'll look into Makeup Artists Choice. I believe 35% is the highest I would go unless I get a doctor to do it and even then Im not sure if they know what might happen with a higher %. 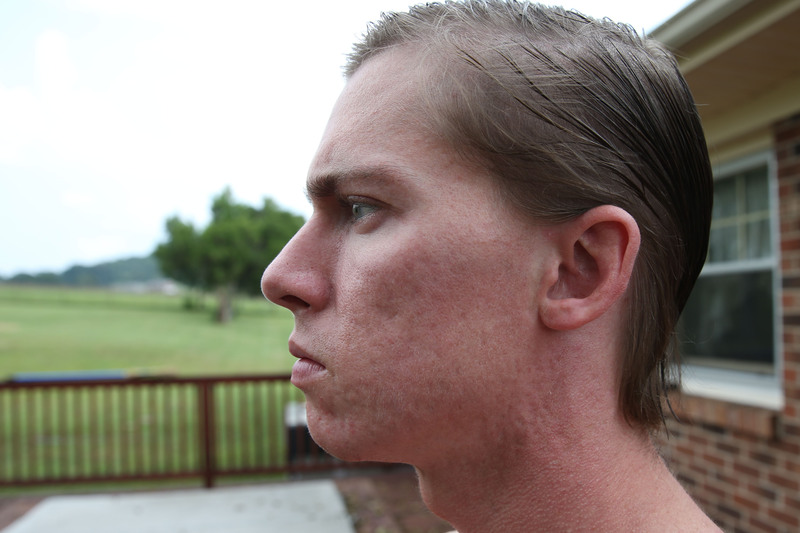 Im going to see how 2.0mm works on certain parts of my face when I get the derminator. Is there a way to tell or are there certain areas that I should go deeper. I think I might try stamping at the slowest speed to see if it completely penetrates then gradually going deeper. I know there are parts of my face that cant handle the 1.5mm but its when I get closer to my jawline and slightly above my cheeks. Fatty parts go deeper, forehead, under eyes, chin, etc are thin so turn it down to 1.5mm >. I often with the derminator will do a pass at a deep setting, spot treat the scar individually, then do a step down from that, once or twice ... eg. 2.5mm, 1.5mm. Let the blood dry and spread, do not wash it off until a few hours after. Only needle at this depth once a month. 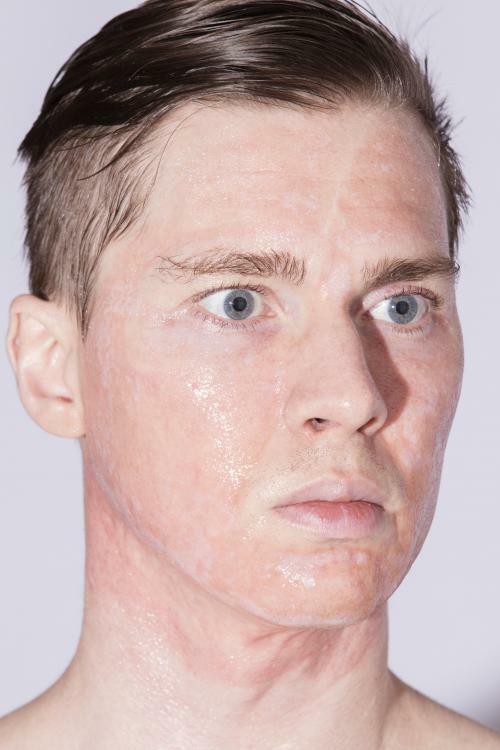 Alternate your derminator and TCA peels. Would you recommend suctioning with the derminator? 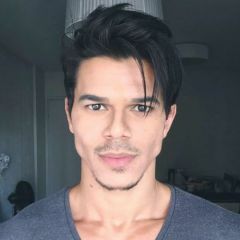 Sort of thinking that a regimen like this might be my next step. So you have been stamping 1.5MM since november and alternating with TCA peels? I'm thinking about going the 1.00-1.5MM route to start off then alternate with peels. Would you recommend me to start with 25% tca? Also how have your results been so far? What has your regimen been? Appreciate all advice! yes I have. I feel like I can see a difference in the scars' appearance in certain areas in my face. Mainly in the area of my chin. Id only use the 1.0mm in areas that dont have enough fat to use the 1.5mm. I might start with 15% just to see what happens and to go through your trial and error. Id make sure you did enough layers to at least frost with it. Be prepared for pain under your eyes and neck even with the 15%. Everywhere else on your face should be very tolerable. I started putting 5% lidocane on my face 30 minutes before I apply the TCA and it made even under my eyes and on my neck very tolerable. I wipe off the lidocane before using the tca and then apply rubbing alcohol all over my face. Some might say the lidocane may keep the tca from penetrating as deeply so you decide if you want pain or want to apply more layers to get a frosting. Here are things I have learned not to do before I started using tca again. 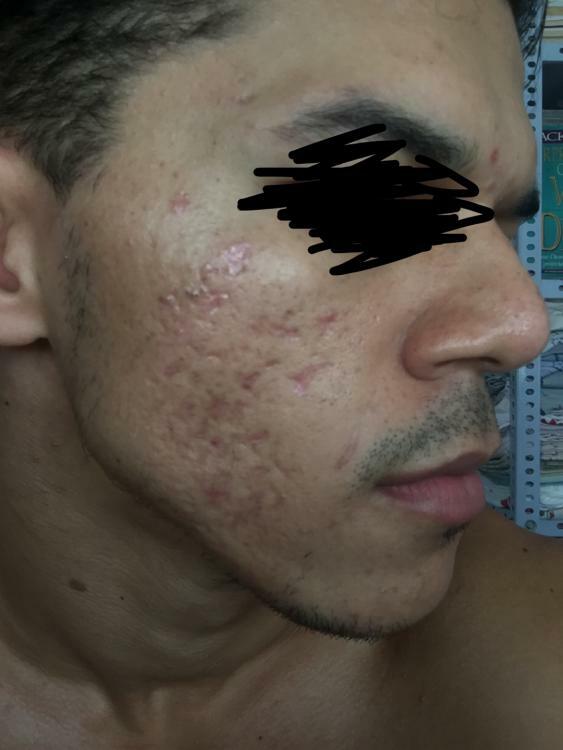 I had done maybe 5 or so previous peels before I started again in november. So many more things can go wrong with the peel than dermastamping in my opinion. When using TCA do not take a hot shower or a shower very long for that matter...especially without anything on your face to keep it moisturized. You might be able to make it 24-36 hours with nothing on your face. I do this so I can actually sleep at night without the need of sleeping pills the 1st 2 nights. For me having my face covered in aquaphor makes sleeping extremely uncomfortable. I firmly believe the less you sleep the longer it takes you to heal. You will not crack around your mouth in the first 24-36 hours but after that it becomes a risk. I now take a sleeping pill or benadryl so I can sleep as much as possible. I try to save the benadryl until the peeling begins bc you will itch like crazy. I try to sleep 12-18 hours a day. Now I peel in 5-6 days. Before I peeled in 10-14. DO NOT PUT YOUR FACE UNDER A HOT SHOWER TO WASH OFF THE AQUAPHOR. It can pull away the skin before you are ready. In the past this made me repeal. I am actually against cleaning the aquaphor or vasoline or whatever off your face until day 4 or 5. In my experience no matter how careful I am I accidentally rub skin off b4 its ready to peel and it can cause a red mark in the area that lasts a few weeks or pain, more itching and your skin to repeal in that area. Do not get in a hot tub or take a hot shower for at least a week after you peel. 2 chicks ask me to get in the hot tub with them on the same day I had just completely peeled. How could I resist...HOW COULD I SAY NO!!!! It made me repeal and left my face red in spots for weeks. The repeal took 7-10 days. I was honestly scared I had permanently damaged my face. I use I guess what might be called a prepeeling agent for a week before I apply the TCA. This is suppose to remove dead skin and it dries and tightens my face. I guess it helps the TCA penetrate deeper and more evenly. I eat 4 scrambled eggs, pork tenderloin, salmon, oysters and 1 protein shake every day. I guess this helps me get plenty or protein and zinc to heal. I also eat watermelon and seeded red grapes(blended together), oranges, purple potatoes and sweet potatoes every day. I also take 1 5000 IU Vitamin D pill a day. MAKE SURE YOU SLEEP ABOVE ALL AND LET YOURSELF PEEL ON YOUR OWN!!!! A lot of what I have said goes against normal procedure so maybe Id advice you to try what the norm is 1st but this is what works for me. Thanks OP for those tips on peels, I will add them to the All things Acid peels posting. I made a full TCA guide including warnings in the faq (in the signature below), scroll to the bottom of the faq, find tca, watch the video, click on the link all things Acid Peels. I updated it this weekend, after we had someone majorly burn themselves. I would get the highest acid percentage possible and dilute it with water half of 35% ie. 17.5% is very easy to do. I would do less than this and patch test. Less is more. Please see the FAQ and link. Re: microneedle, 1.0mm does very little, I would go 1.5mm and above on the fatty areas. I tell people to do the max they can for results, on thin areas turn your owndoc.com derminator down to lower lengths. That is the beauty of that machine, one needle can be multiple lengths and does not hurt as bad. @DandyTsunami Look at the picture at the top, he has scars, the other pics don't show the shadows scars make, hes generous with his info, so it's nice to have him. @DandyTsunamiScars are often all about the harshness and angle of the lighting. I wasnt trying to hide them in my previous post. Its just what it looked like in my bathroom at the time. These are pics before I had ever had the 2 subcisions, the 1 fractional laser and lots of bellafill. September 12, 2013. I have seen them look worse in different lighting than in the 2 pics below. It actually puts me at a great disadvantage when Im trying to dermastamp in the bathroom bc the harder it is to see the scars the more difficult it is to treat them. @beautifulambition Thank you, I will check it out. Im curious about whether or not I should do the 35% under my eyes and on my neck. Eyes have thin skin, I would dilute the peel here. It could end up making you skin thinner. 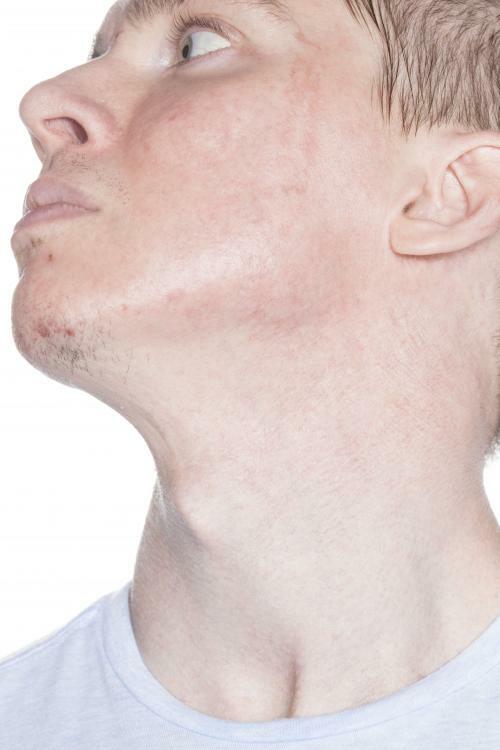 The neck can be thick. Do a pinch test to see the thickens. 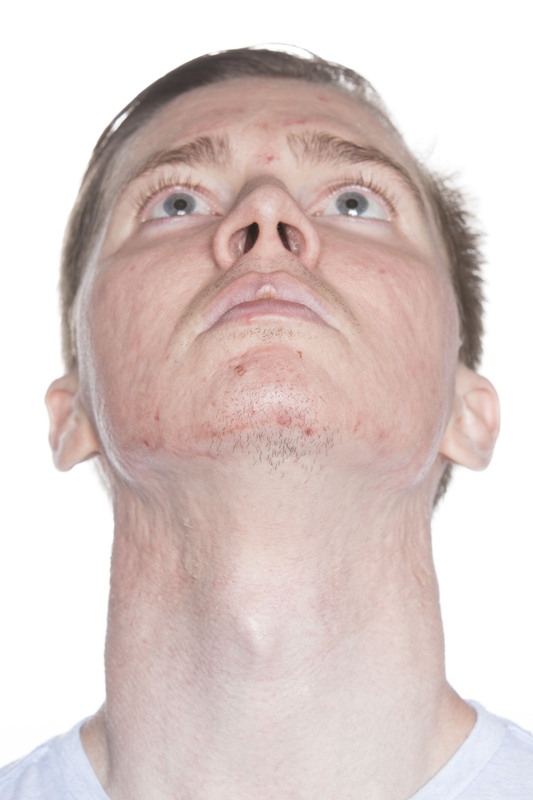 Spot test and look for how you respond before whole neck. Closer to adams apple the more it takes forever to heal, not many veins here, under chin is easier to hide. I think I got some nice frosting from 1 layer. If there were any small patches that didnt frost I applied 15% until it frosted. Since Ive never used this brand or this high of a potency I didnt want to risk double layering anywhere. I decided to just use multiple layers on my neck of 25% since IDK what the true strength of this 35% is on my skin. I can definitely tell this penetrated deeper and was stronger. The tingle felt deeper, the burn occurred faster along with the frosting. Sure you can use anything I post....but we dont know if this really went well until I peel lol. 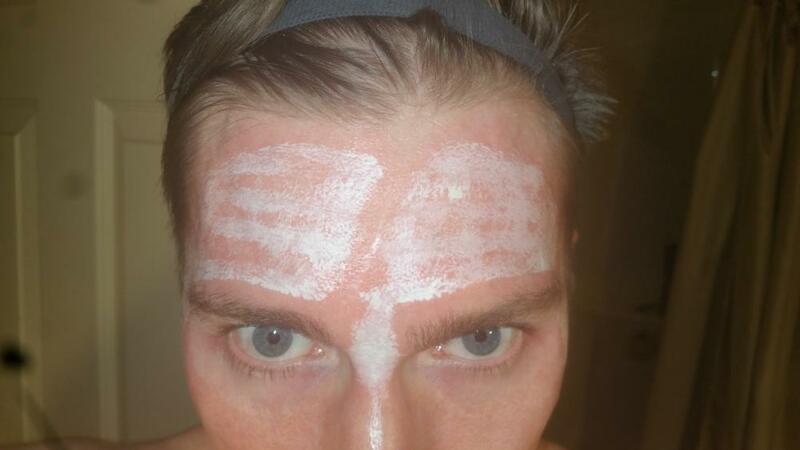 For some reason when I apply it to my forehead Ive always had issues with it frosting. I applied 1 layer and it didnt frost so then I ran back over my forehead lines with it and thats where you see the frosting. Also I have had problems with my skin being a little sensitive for weeks after only using 25% TCA in the past so I decided to just hit the creases in my forehead a 2nd time instead of trying to make the entire thing frost. I have scar in the middle of my head from a football injury and I dont dermastamp it or put tca on it bc I thought I had read that it could make it grow. I used a q-tip. I first create a box or parameter with the tca. I let it frost for like 10 seconds so I can see where it is and then I fill in the box. I take a pic of where I just applied it with my phone in case the color fades so I dont accidentally go over it again. Judging from how quickly I frosted, the pain and the depth of the tingling I believe the TCA 35% from Erlenmeyer's Laboratory was stronger. I of course only applied 1 layer so i dont know what result I will get. I was applying 3 layers of the 25% tca. This is my 3rd peel since late november after thanksgiving. I had previously done 20% and 25% peels. Maybe 5 of the total before the last 3. I did those between 2011 and 2015 so they were randomly done. Nothing like ive done now where I have alternated dermastamping and peeling 3 rounds each. I am also much healthier now than i was then. No sodas and I make sure I get plenty of sleep. I do see a difference in my skin now compared to the picture I posted from 2013. 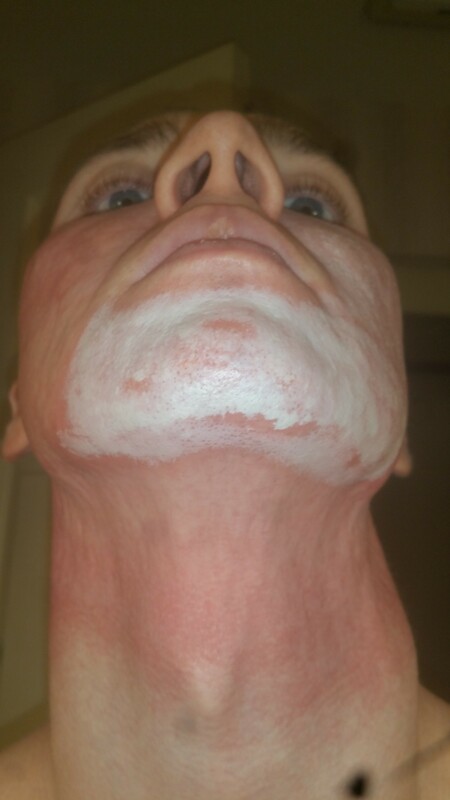 The scarring just looks softer to me in my chin area but Im not sure if its the tca or dermastamping. I do like how my skin looks in certain lighting now. 5 years ago it looked horrible in any lighting. I have had 2 subcisions, 1 fractional laser and 6 or 7 syringes of bellafill injected into my face. I can live with how my face is now. I really only do this bc Im still semi young and I just wanna see what I can fix before I get old and start going down hill. It just gives me something to work for and look forward to. My face has changed but I cant put a percentage on it. In November and January when I did my 2 previous peels I healed in 6 days. I did double and then triple layer 25%. In my 5 previous peels over the years it took 10-17 days. the 17 day peel was when I got in the hot tub and I peeled again. In those peels that took longer I never did over a double layer and only spot treated with a 3rd layer. I now take half a sleeping pill from walgreens so I can sleep at night or a whole one if I want to sleep until I decide to get up and see what day it is. I also drink a lot more water, eat potatoes(sweet and purple) and watermelon, oranges and seeded red globe grapes. Im also getting between 150 and 200 grams of protein a day. Tell me what you mean by crusting. Ive seen in people's horror stories that their skin looks like its oozes or leaks puss. Mine has never done that. In my 5 peels before my last 3 however my skin felt rough, dry and bumpy after I would peel which is surprising to me since the peeling took longer. It also took about another 2 weeks for the roughness and small bumps to go away. When I say bumps I dont mean little whiteheads or anything. It feels like tiny pieces of dry skin everywhere. The last 2 peels have felt very soft and smooth immediately after peeling. No dryness and no bumps. I dont shower unless I have to. I dont want to go in a shower and get my face hot. The heat and moisture make my face itch very badly and i feel like it has a negative effect on it healing. I dont sweat unless its 100 degrees and Im moving around so I can get away with not showering 5 days. If I have to go anywhere I just wash my hair over the side of the bathtub in cool water. I have put polysporin on my face immediately after the peel. Before I lay down to go to sleep i wipe it off gently with a wet rag. I can get away with this bc my face has not tightend yet or started to peel. I try to go the 1st 2 nights without anything on my face so I can make sure I sleep well. Even if I sleep on a towel it bothers me to have goo on my face and touch the towel with my face so I try to avoid it until my face has tightened and changed colors. I do put polysporin back on my face when I wake up. I wont wash my face until day 2 or 3. I dont want to push it to get dry any faster than it wants to. I wash it right before I start putting aquaphor on my face. I wash it with Cetaphil DermaControl Oil Control Foam Wash. Once I start putting the Aquaphor on my face I never wash it off or remove it. I think i can get away with this bc I dont ooze or appear to have any open wounds. In the past I did the vinegar soaks and replaced the aquaphor after each soaking. I COULD NOT avoid prematurely pulling off skin around my mouth and chin area. Its as if its like a torn piece of paper. Once a tear has been started its very easy to keep it going and it would tear into or off skin that was not ready to come off no matter how gently I rubbed. Also I have to rub pretty firmly to actually remove the aquaphor which is a dangerous thing to do when skin is so easily torn. Now I basically just always add aquaphor. Starting on nights 2 or 3 I just sleep beside the aquaphor and if I wake up I put it on my face where sleeping on my face has wiped it off. When I apply it I always rub it on toward my mouth bc thats where tears and peeling always starts. If I rub toward my mouth its as if Im rubbing peeling or torn skin back down. if I were to rub away from my mouth I risk pulling torn or peeling skin off before its ready. Sometimes I sleep with cling wrap on my face to keep the aquaphor from rubbng off on the towel i sleep on at night. Once I start to peel if I see skin just hanging there I cut it off with scissors and apply polysporin to the peeled area instead of aquaphor. I dont wash my face again until I am completely peeled. I wash it with Cetaphil DermaControl Oil Control Foam Wash for 2 weeks after peeling. I use Emu Oil to moisturize if Im going somewhere. I take a benadryl before bed if I have started itching and also with half a sleeping pill. if Im not itching I just take half or a whole sleeping pill. It depends on if I have time to sleep 18 hours or not. One of the main reasons I wanted to get the derminator was for my neck. its just too hard for me to mentally make myself roll or stamp my neck bc it hurts so much and Im extremely drained after doing my face. I spend 3 hours or so stamping. The redness goes away within a week on my face and maybe 2 weeks on my neck. The redness is mainly at the level of my adam's apple that persists on my neck. I believe my pores are smaller now than in my pics I had taken years ago. I completely avoid the space between my upper lip and nose with it now. It made that area very sensitive. It also makes the corners of my forehead sensitive. I only do 15% on my nose. This will be my last peel until november bc I do videography and photography for a living. I have lots of weddings coming up almost every weekend. I can get away with dermastamping bc the redness fades in 4 days but with the peels I cant avoid not being outside for hours at a time. Thanks so much for updating us with that, it's very helpful and practical. Keep us updated on the 35% recent peel. Yes I believe you had a stronger peel this time around, that company you used before has weak peels. Cracking of skin is normal with TCA and dilute vinegar soaks, After you pat and not rub the area daily, you then do your Aquaphor, Biafine, Triple Antibiotic Cream, or Vaseline to moisturize the area. All the doctors videos I have seen on the subject have cracking and peeling, you just don't want to pick or pull it off yourself to avoid damage. Same with the shower, if you do shower splash your face, do not go under the shower head. I put down a towel on my pillow and raise my head as high as possible whenever I do laser or peel. If people work while doing this, they can put the creams on after work at home and at night while they sleep. Some people have a much harder reaction and actually almost scab when they peel. I have to figure out how to take pics that show off the scarring instead of it hiding it. I think the light has to come from straight down so it creates a harsh shadow. I took pics again with a dry face before I put on the aquaphor a few hours ago. Im gonna take them again once I am peeled and then again once my skin has healed. its been almost 48 hours since the peel and Im starting to itch. Im curious how long this is gonna take compared to the previous peels. I have peeled. These pics are from 5 days (120 hours) after applying the 35% peel at 7am wednesday. Im glad I only did 1 layer bc theres redness and some scabbing where I had overlapped how I apply it in sections but its nothing I dont see going away in 1-2 weeks. I previously got this type of scabbing or redness from 3 layer 25% TCA. Right below my chin and along some spots of my jawline is where 3 layers of 25% TCA overlapped with 35% TCA bc I applied 25% to my neck. I will take pics again in 2 weeks. I did really well with sleeping and dieting the 1st 2 days and 3 sleep sessions but then i had video and photography jobs pop up on day 3 and 4 so I only slept 3 hours those nights and ate 1 meal each of those 2 days. None of these pics are duplicates. The focus points have simply been moved to make sure all of the skin is in great focus. For example the 1st 2 pics have focus under each eye and the final pic has focus between my eyes to get the forehead area better. Please blow them up bc the detail is quite extreme. Hey great thread. Ill be following for sure. As a vet, which treatments are your favorite? How do you like bellafill? to be honest i think it helped but there is a huge risk for the donut effect. They use the syringe to do a little subcision then inject it under the scar. They have a belief that what you see is what you get based on how the initial injection lifted or filled the scar but theres no way thats true. They have no way of knowing how much of your own collagen will form around the microbeads or how quickly. Also I think that the scar has a better chance of retethering before the collagen starts to significantly form around the microbeads and lift the scar so maybe its like when people use to stamp wax. The tethering pushes the bellafil away from the scar area and more around the scar causing collagen to form around it and possibly giving it a deeper appearance and the so called donut effect. In saying all of that it did help but I do have lumps and I have a thickness feeling around scars thats different than the firmness of the skin surrounding it. I have lumps that I can feel to the touch but not really notice in pics or the mirror. I had 6 or 7 syringes injected into me. It worked on certain parts of my face but some scars they injected every single time I got an injection and its like it just ate the stuff. No life or fill at all. I would only use bellafil at the end of your scar revision process. When the only other option is expensive temporary fillers. I did pressure the doctor to be very aggressive with me bc my sister had a wedding coming up in 6 months so I dont blame them for any of the lumps. We both knew the possible consequences and I made it clear that i was fine with the risk. Id like to do 3 subcisions next year. This is my last peel until November and Im going to derminate myself every month or 4 weeks for the rest of the year. Temporary filler was my fav bc I walked out of the office looking like a new person but you better be rich to live that life. The subcision I believe helped me the most but the numbing process was absolutely brutal. They told me some women compared it to giving birth. I would not do any laser treatment or at least I wouldnt do the fractional laser resurfacing. Id just do some very responsible peeling. 1 fractional laser resurfacing cost me 3500 and that was without being put to sleep....that would have been an extra 1700.00. I'll go through a lot of pain to save 1700.00.